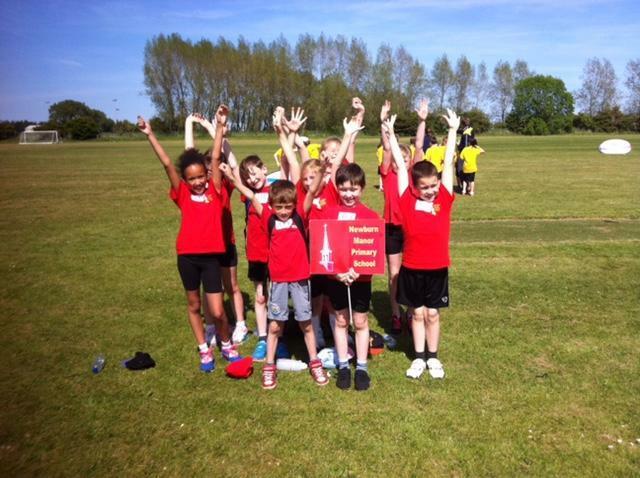 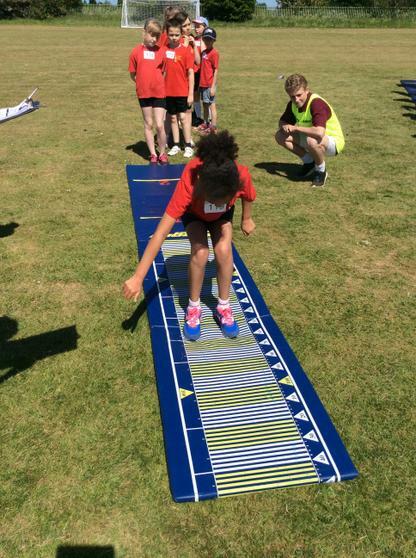 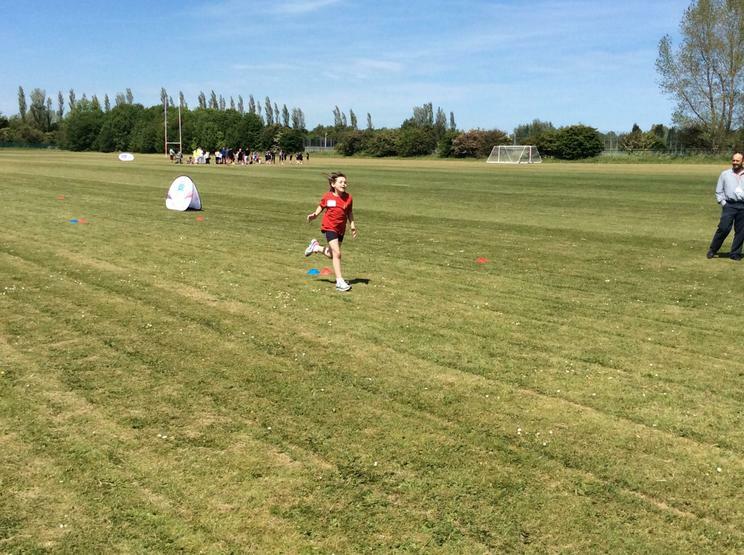 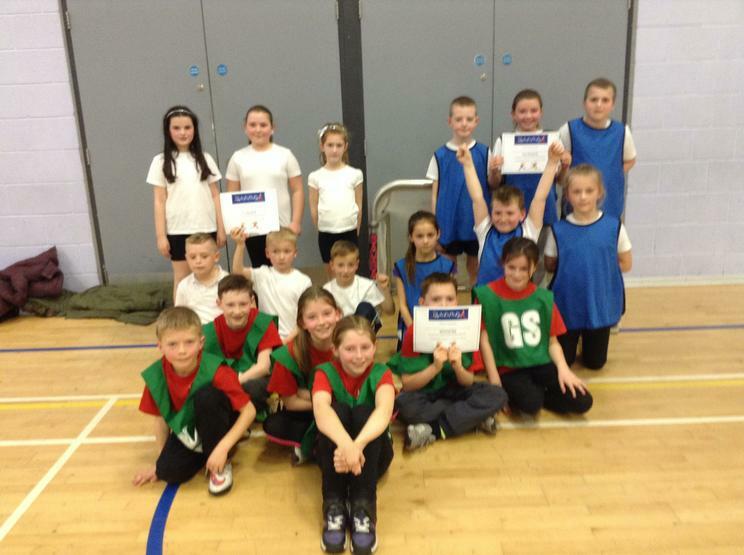 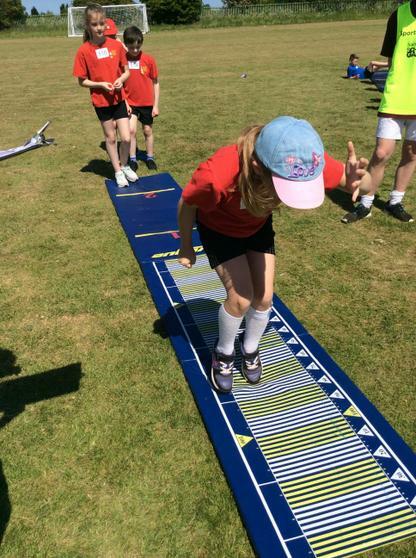 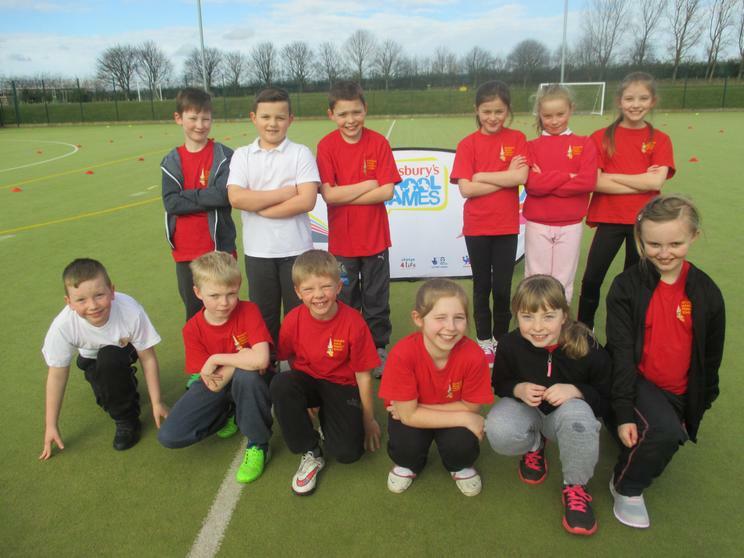 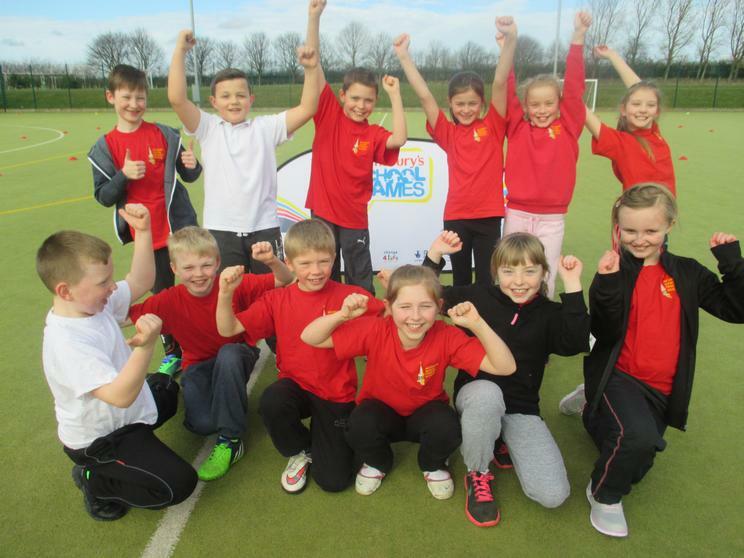 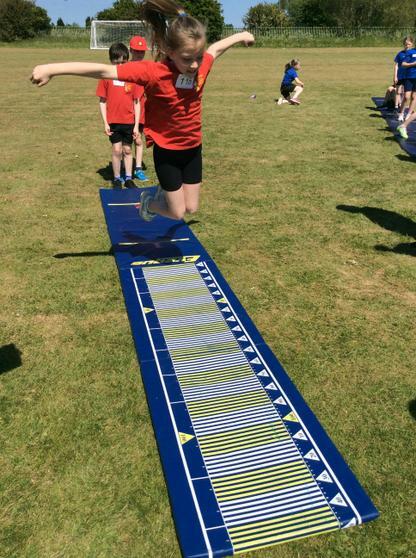 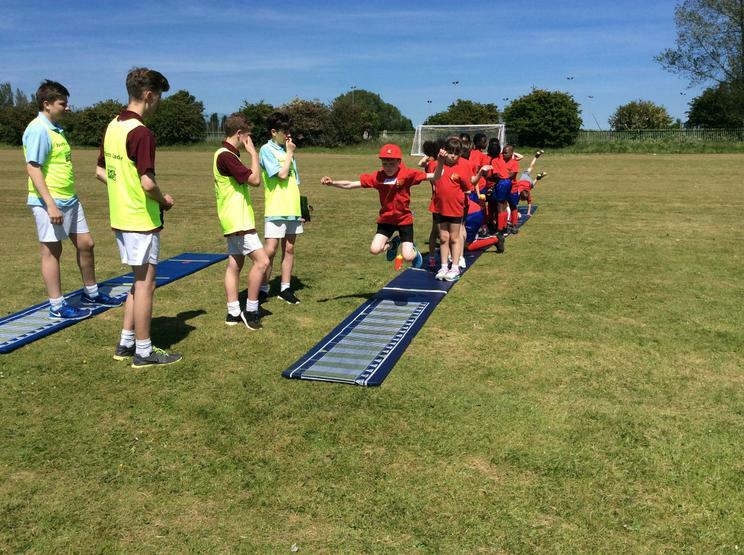 Children from Year 4 have enjoyed participating in the QuadKids athletics competition with pupils from other local schools. 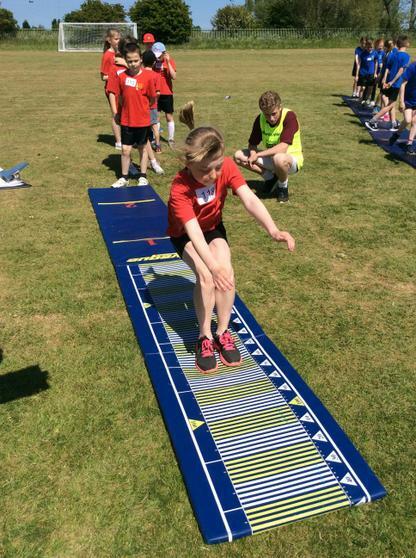 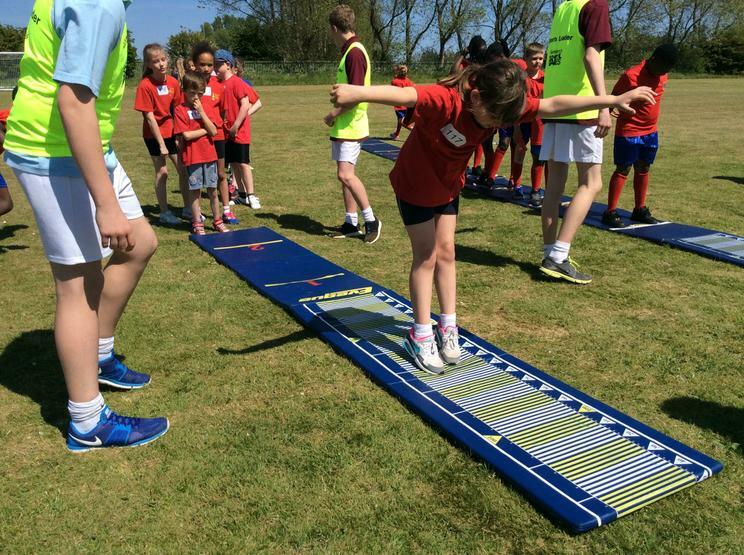 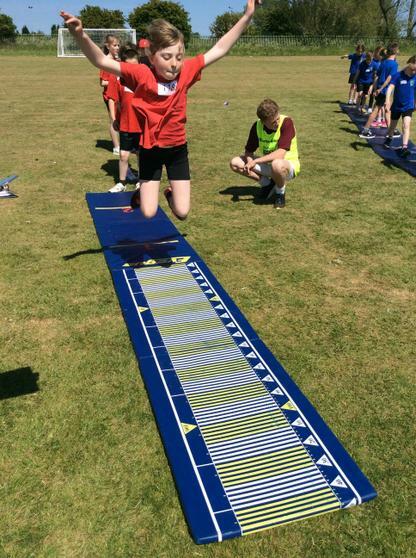 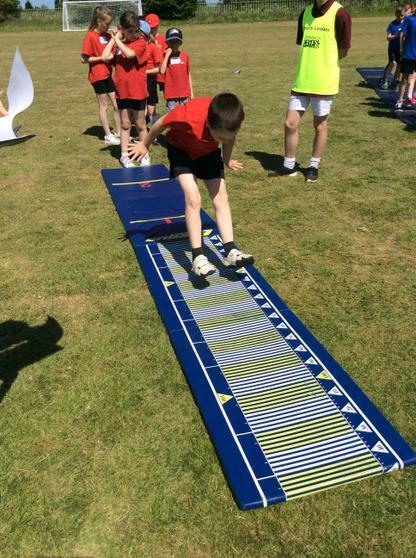 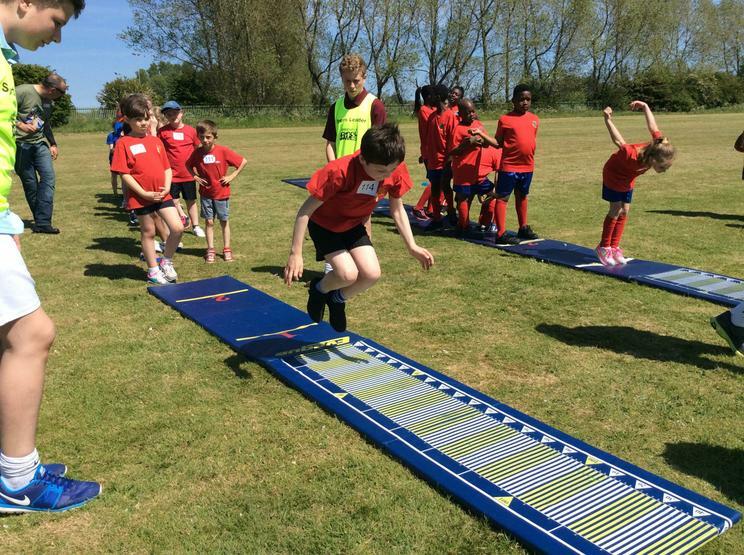 QuadKids encompasses all the key aspects of athletics: endurance, speed, agility and strength. 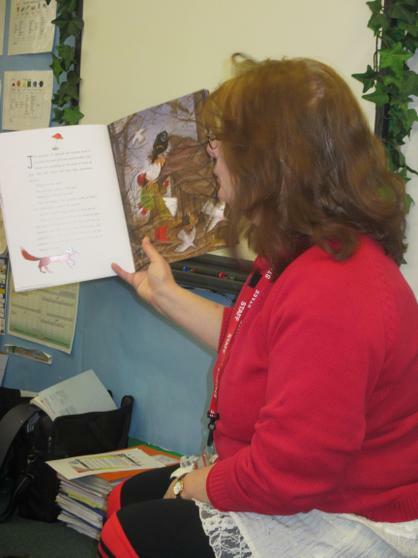 Take a look at our photo slideshow to see them in action! 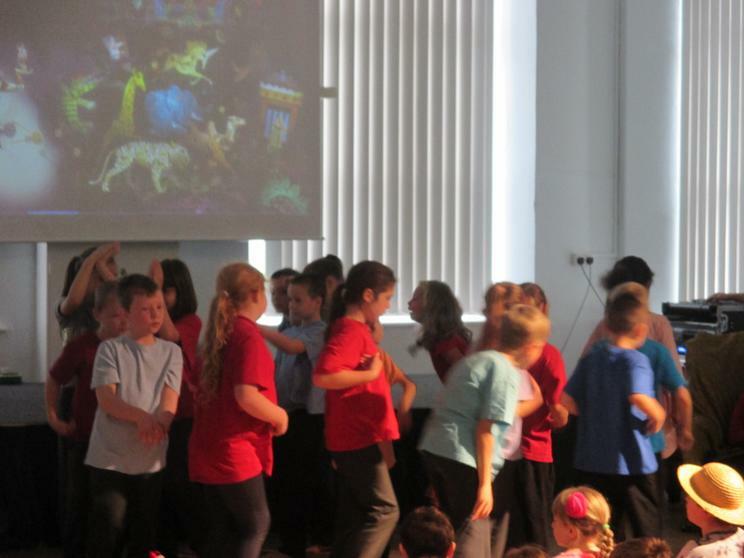 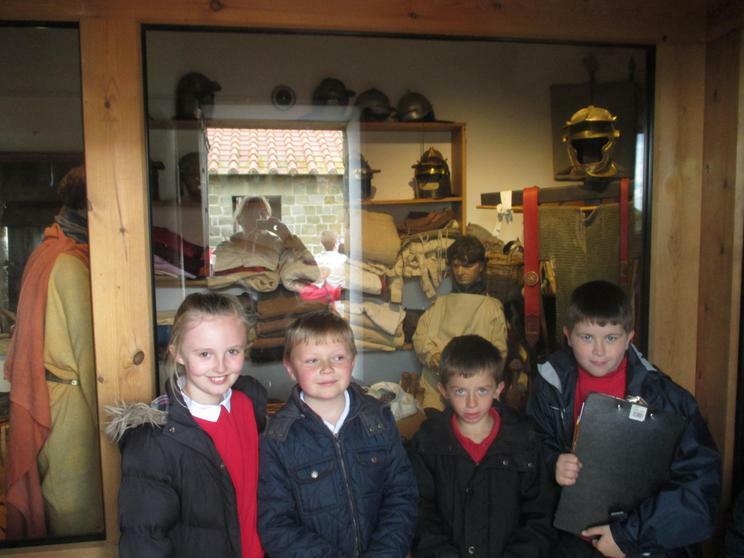 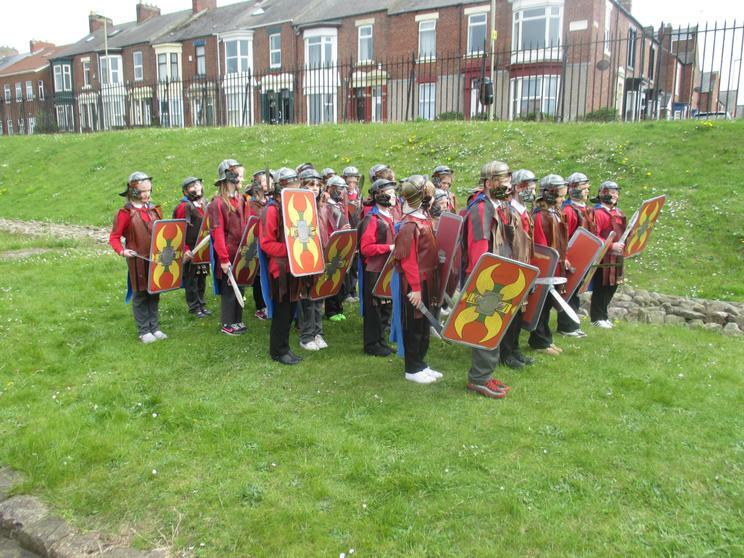 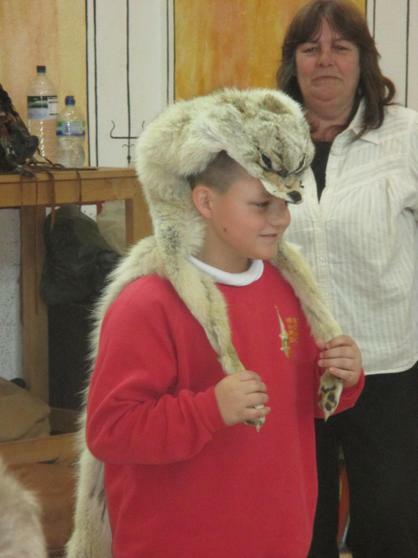 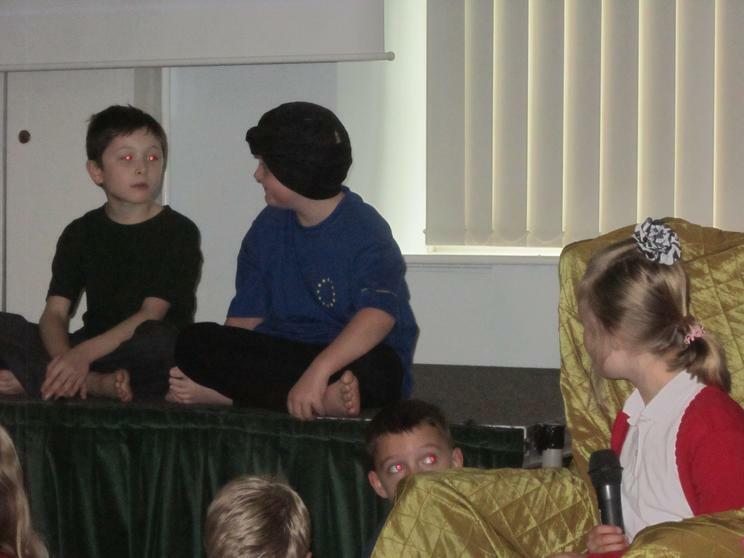 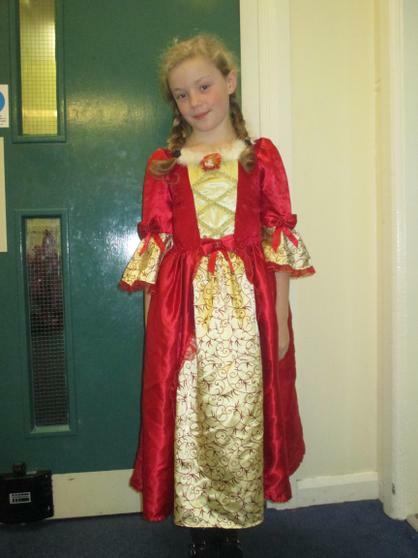 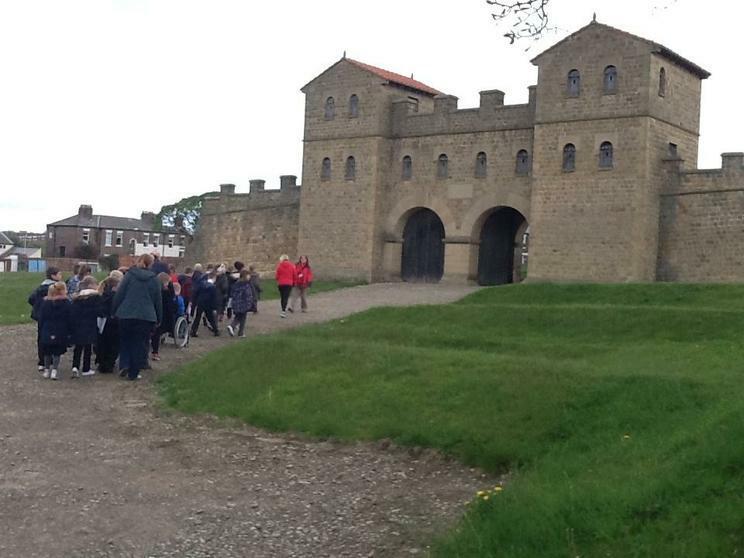 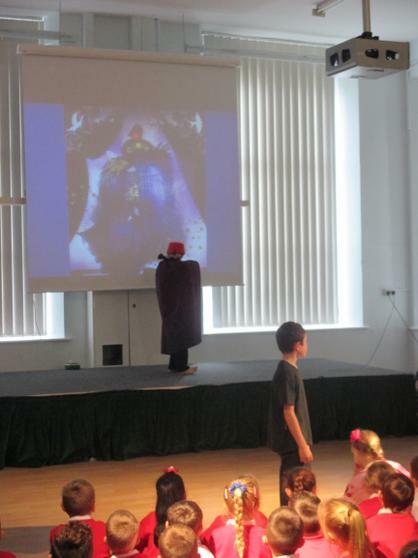 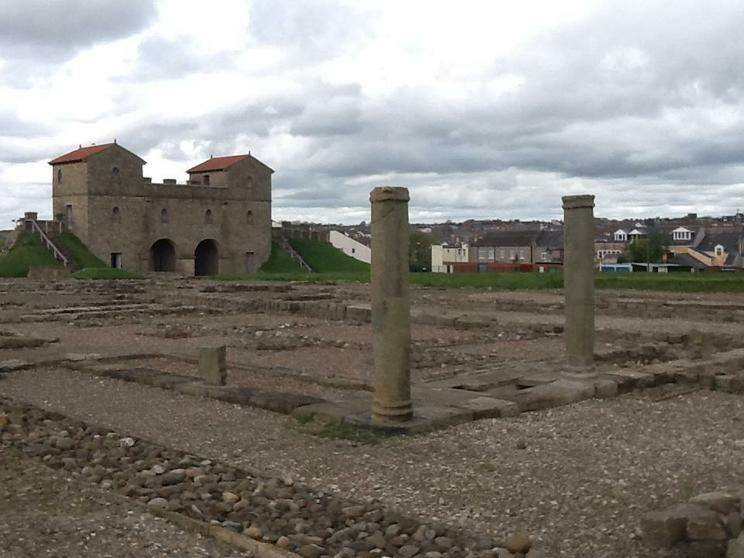 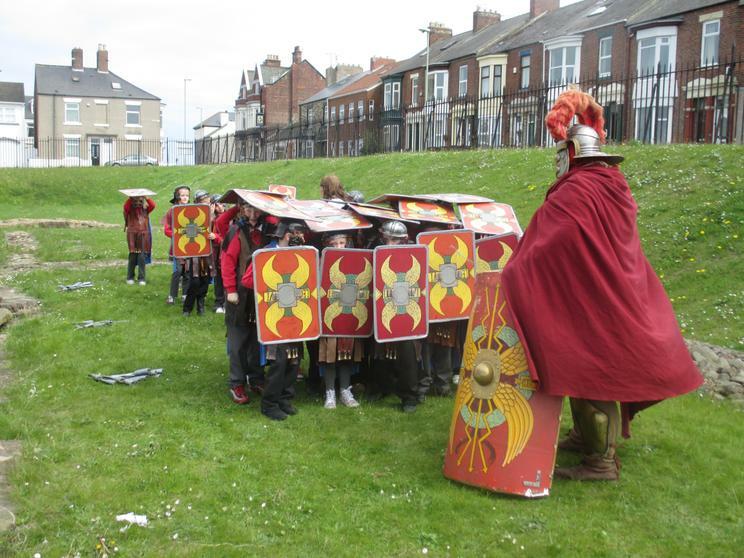 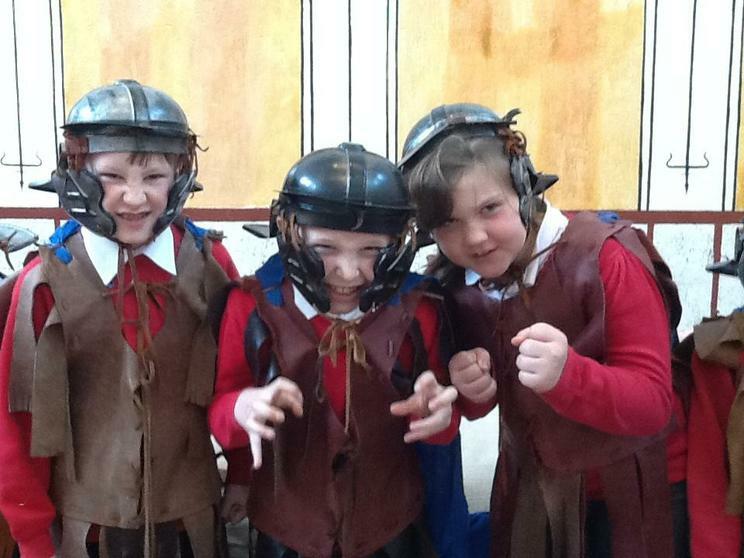 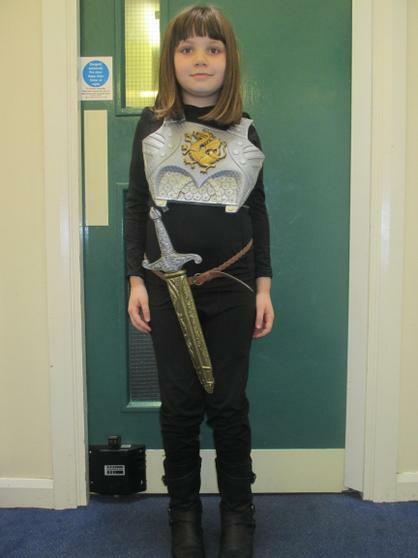 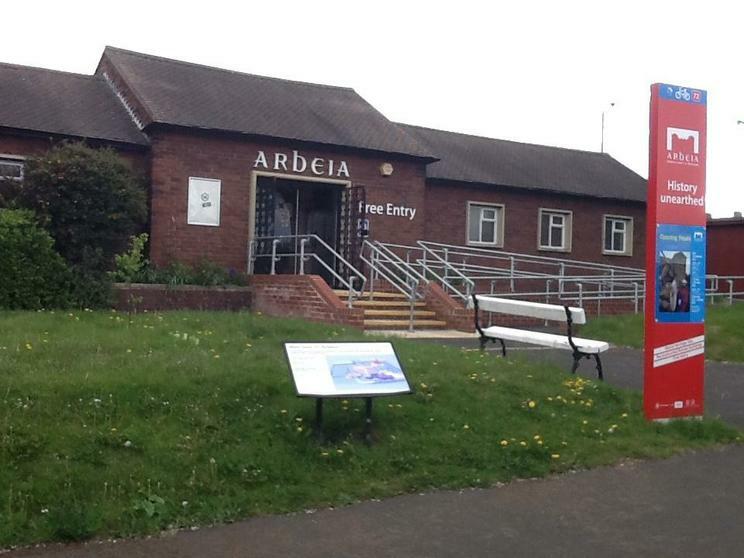 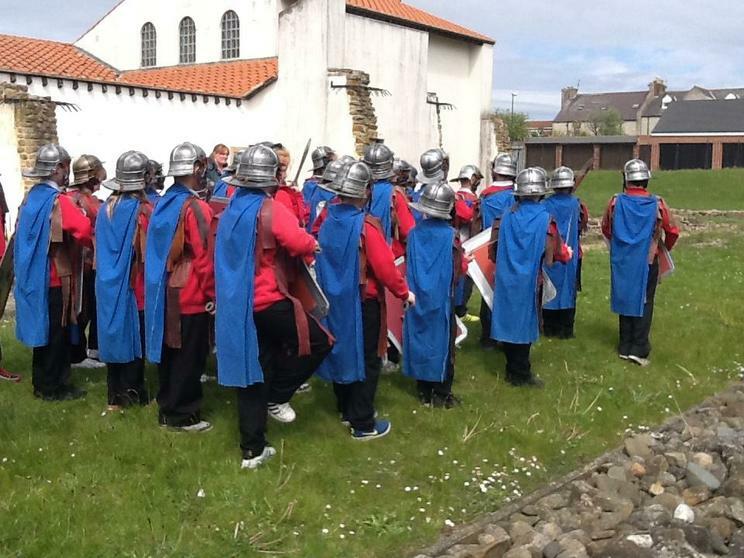 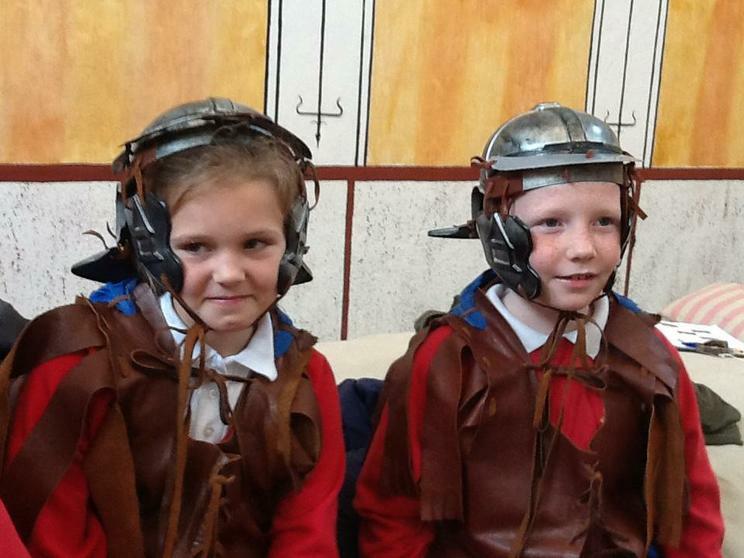 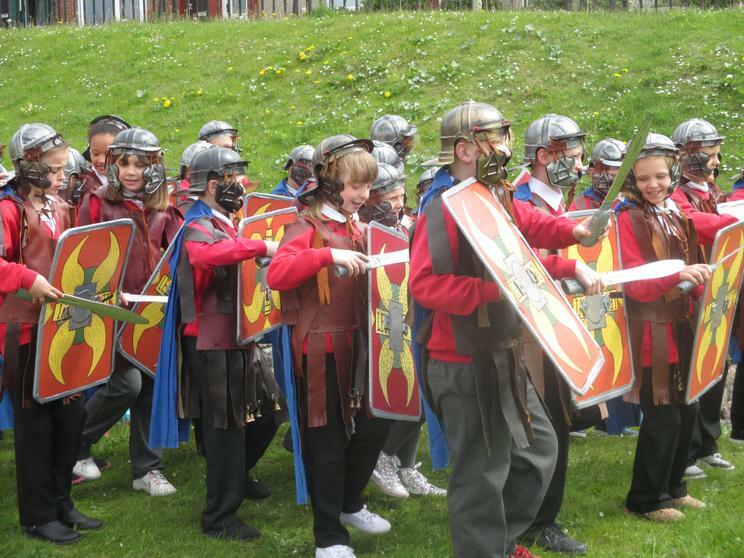 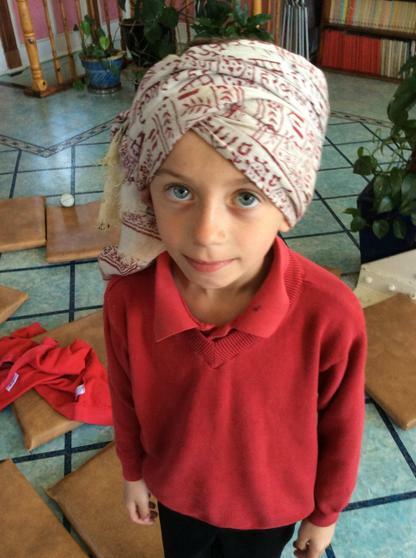 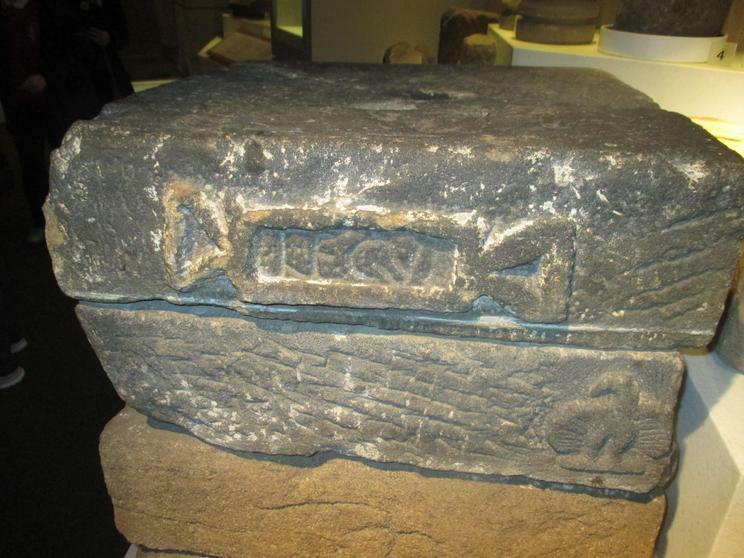 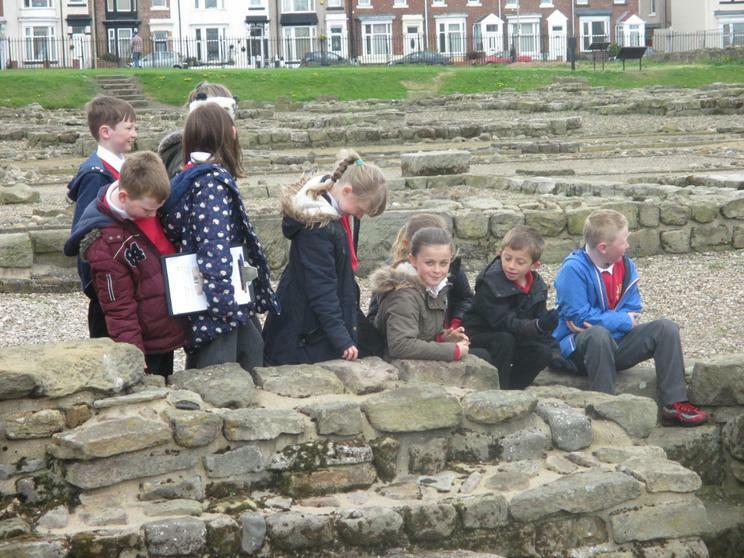 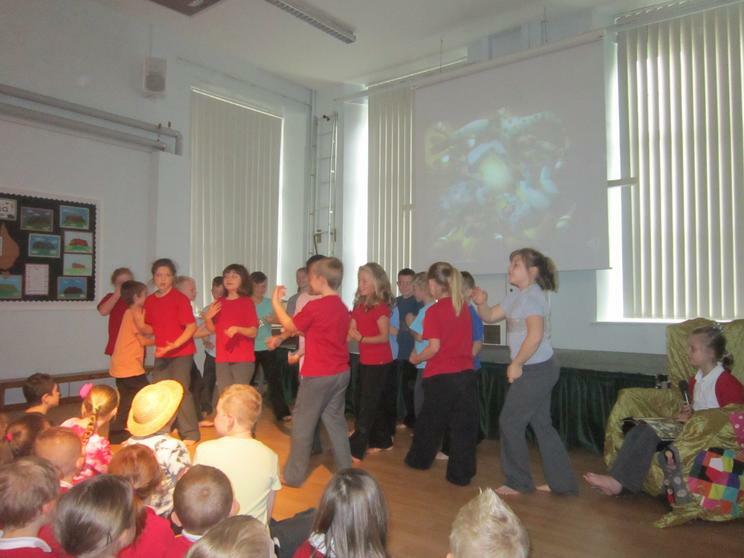 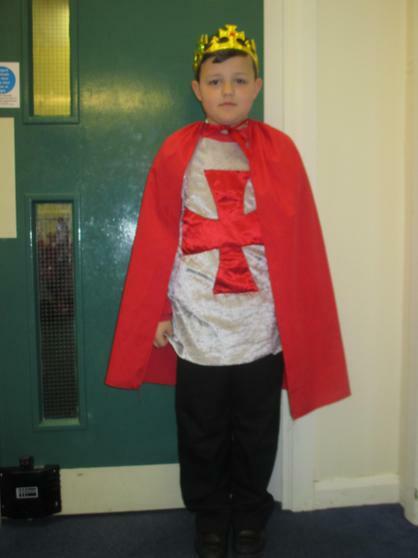 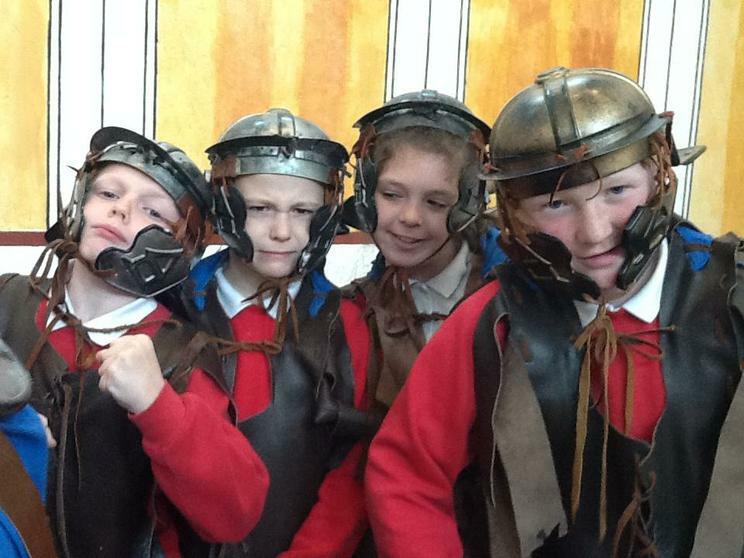 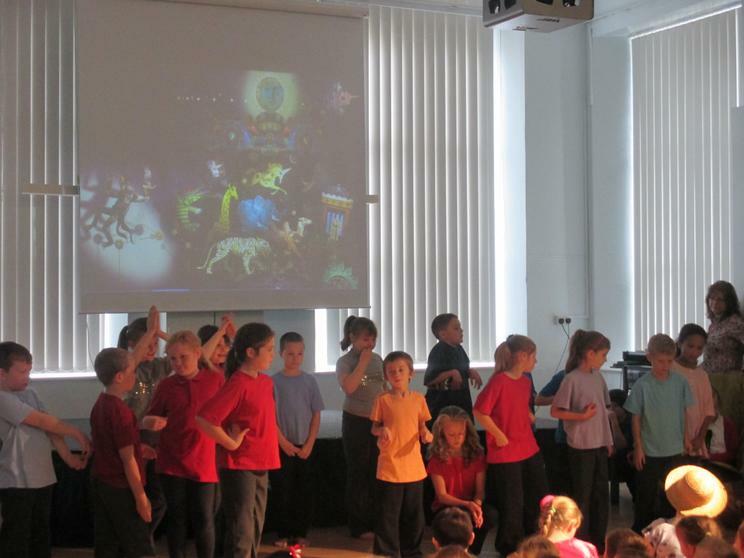 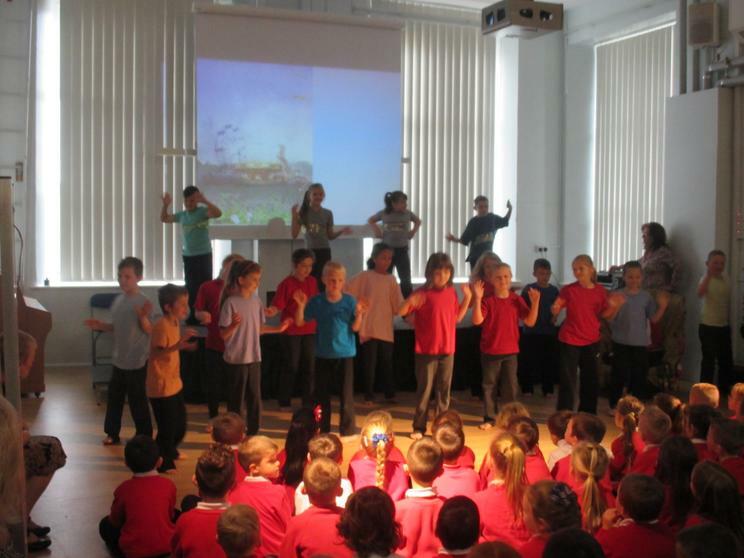 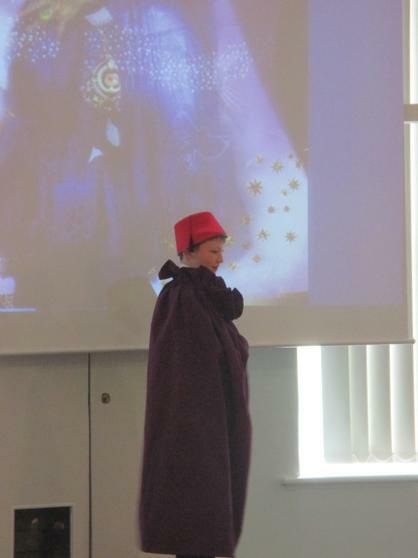 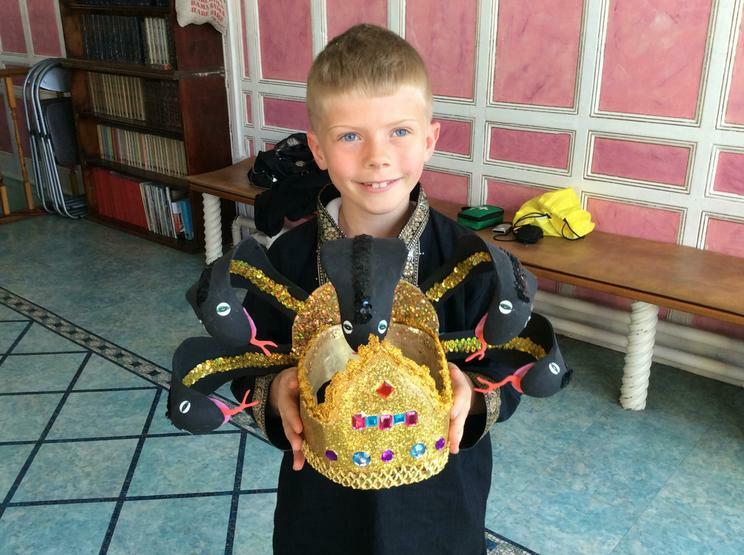 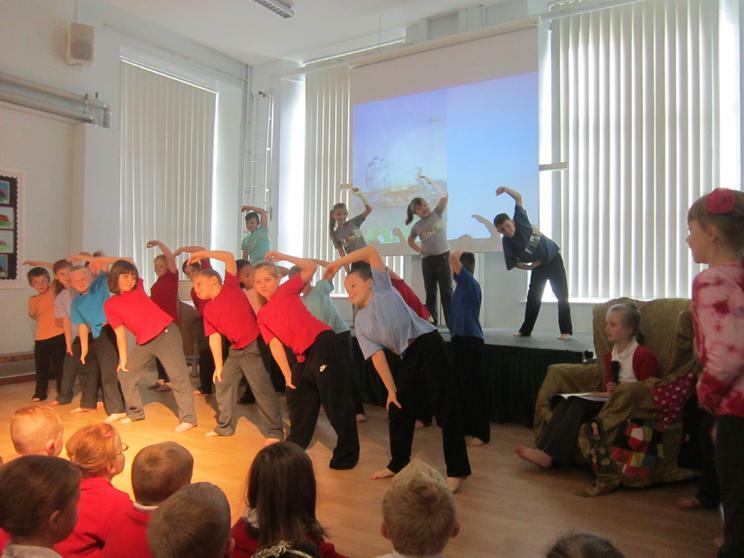 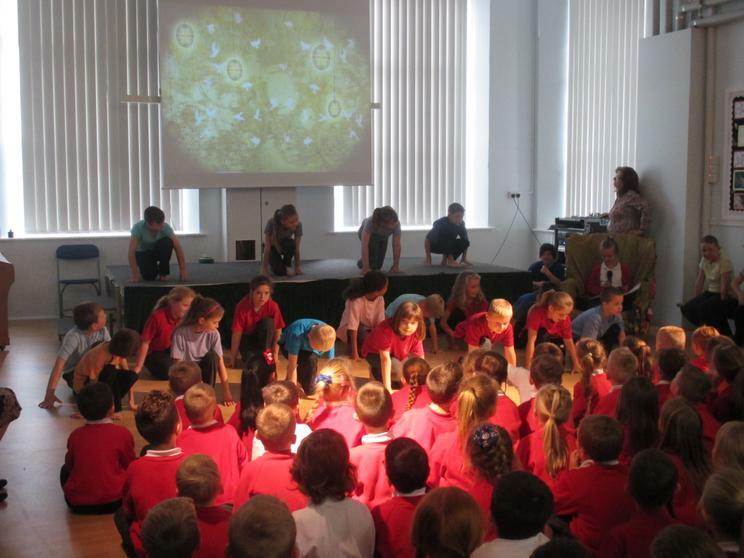 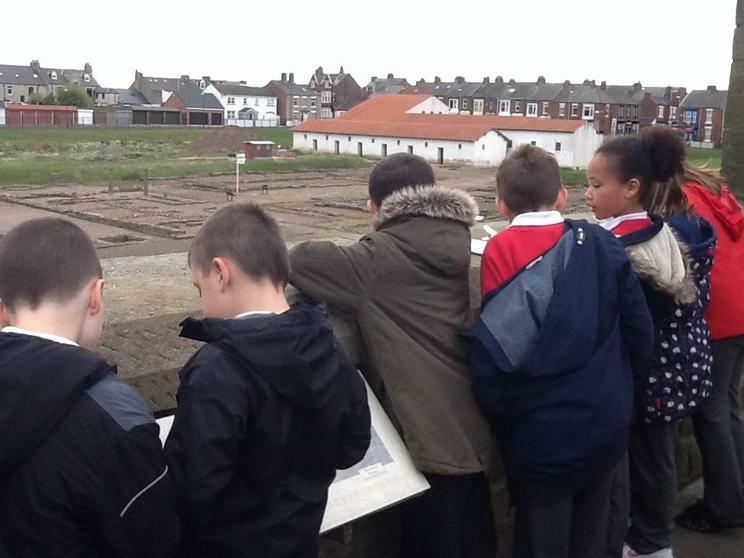 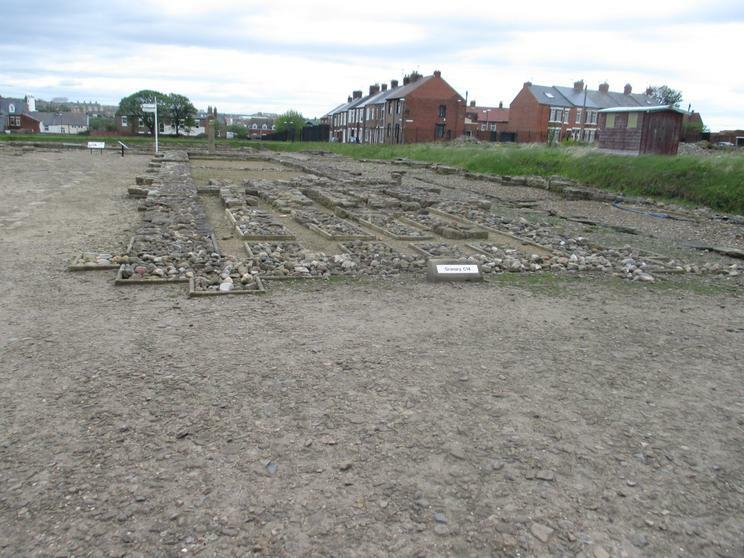 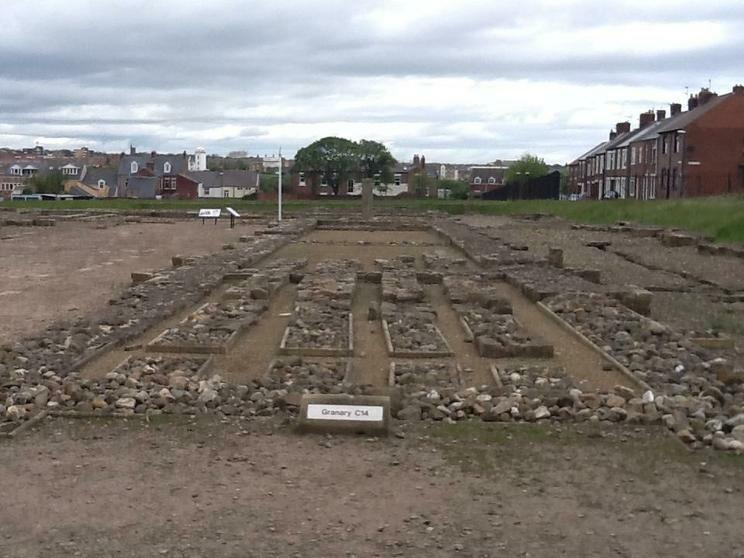 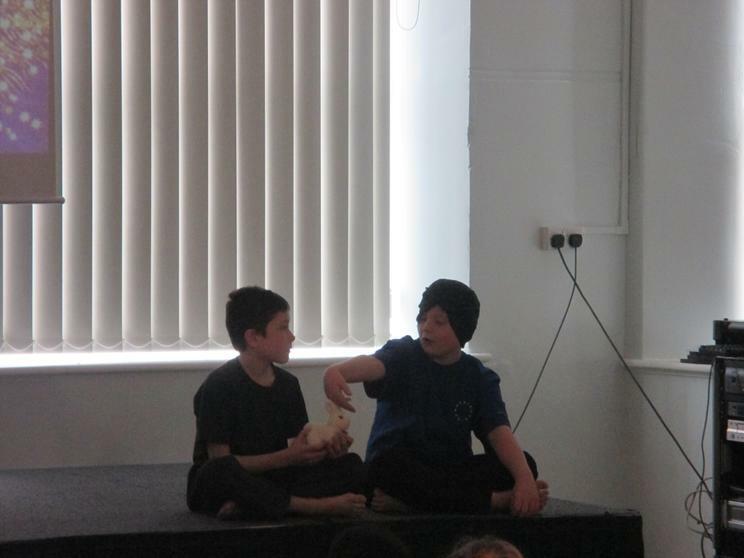 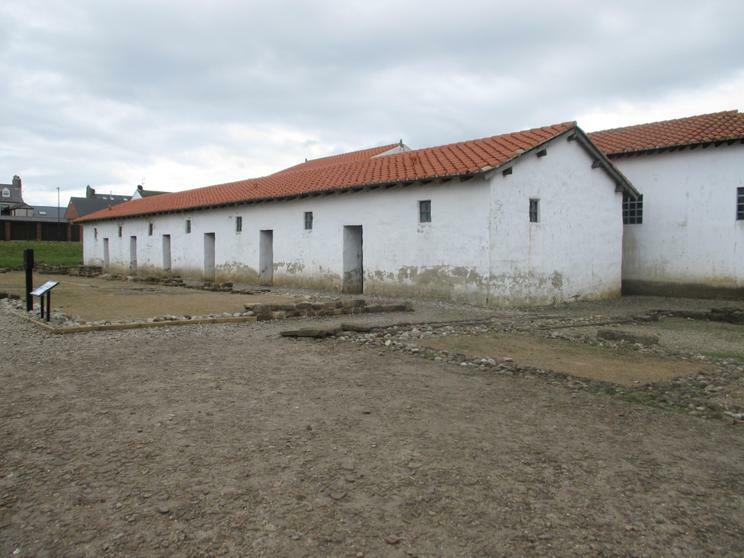 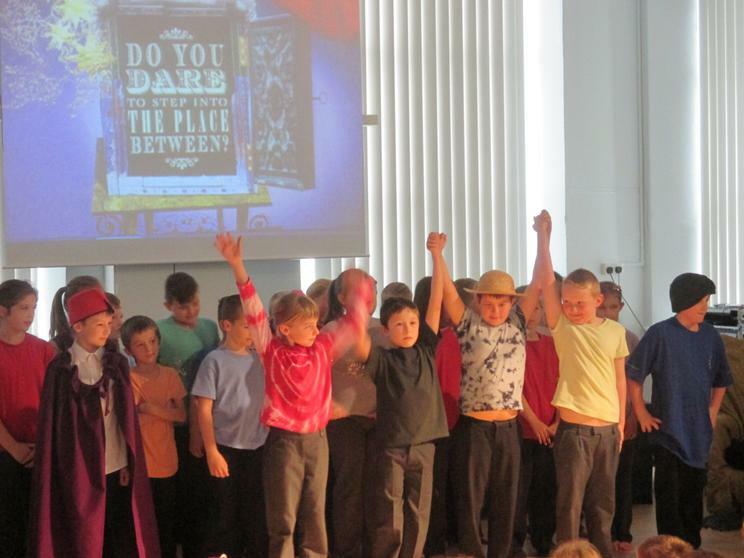 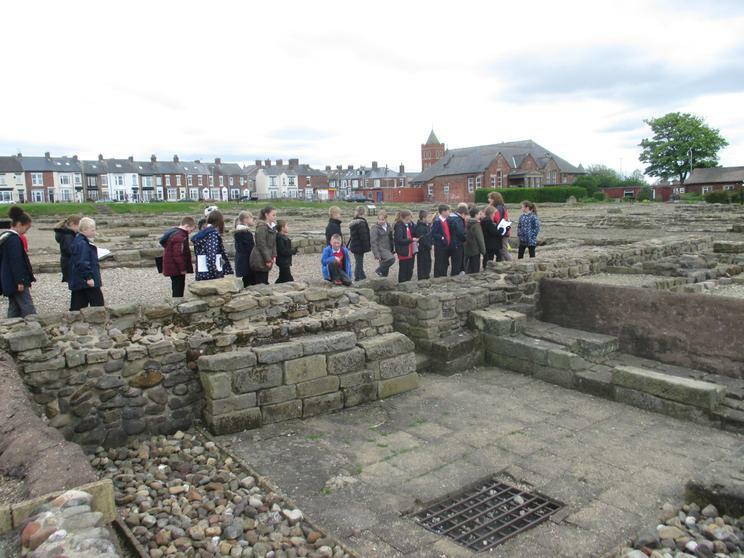 We had a wonderful time exploring the lives of ancient Romans during our recent visit to Arbeia. 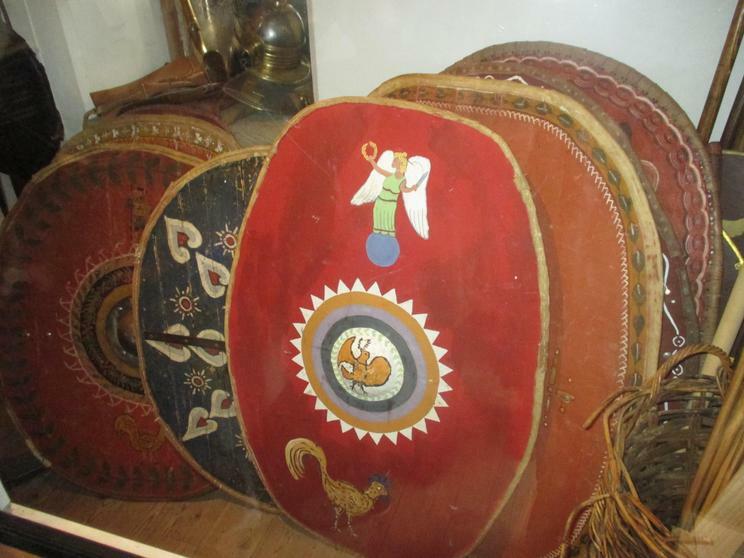 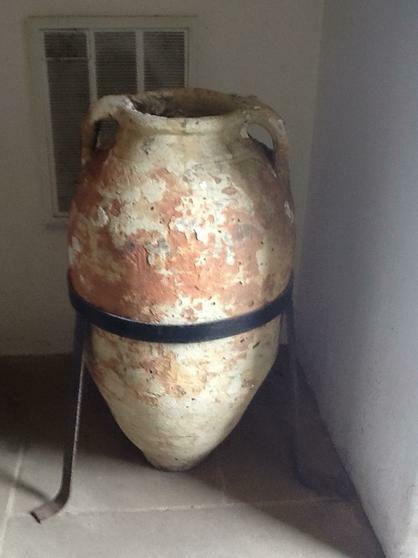 Various artefacts and displays in the Fort and Museum painted a vivid picture of this part of history. 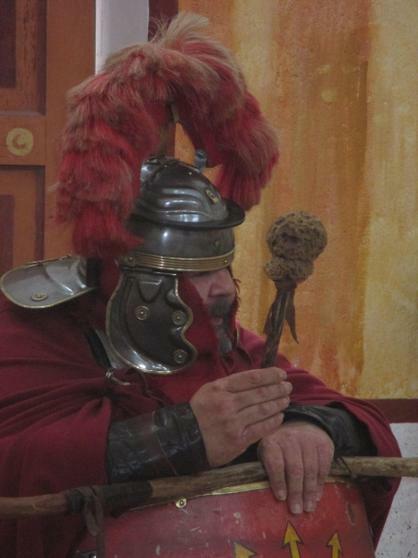 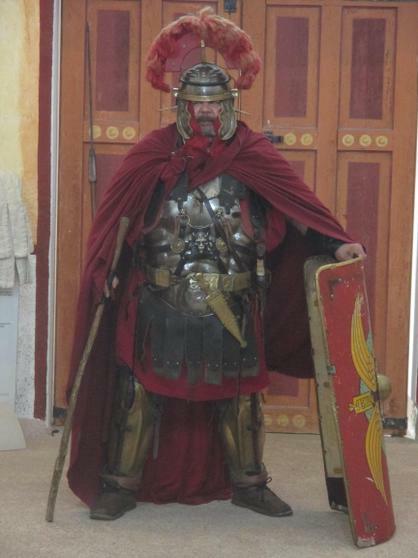 Mrs Dooley led us on a fascinating tour of the barracks and excavations, followed by a meeting with the formidable Centurion Maximus, who told us a tale or two as he allowed us to handle and try on a Roman soldier's equipment. 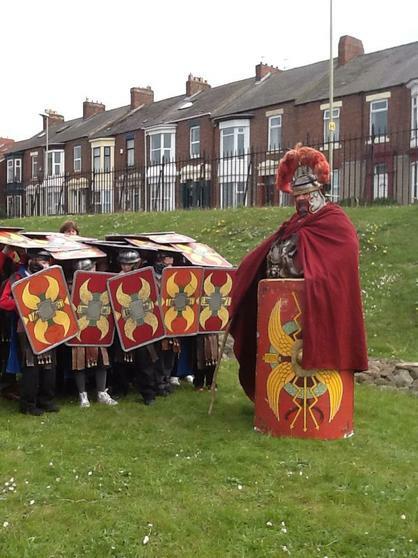 He then put us through our paces as new recruits! 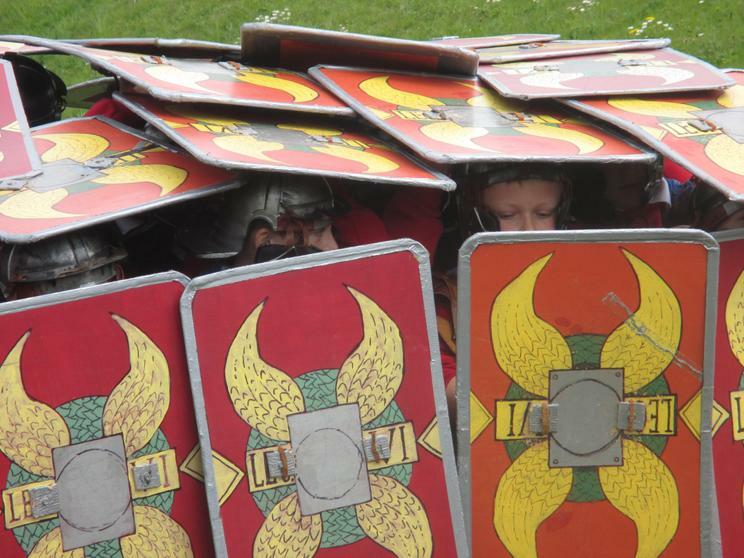 Watch our video to see how we coped during battle training. 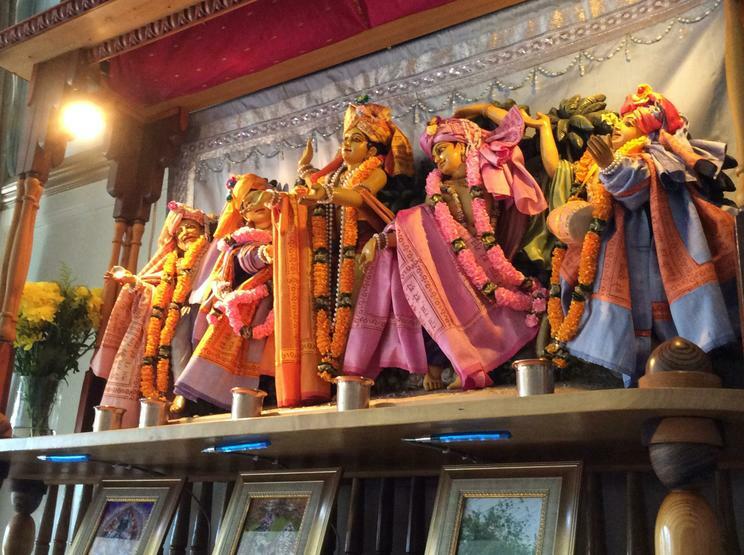 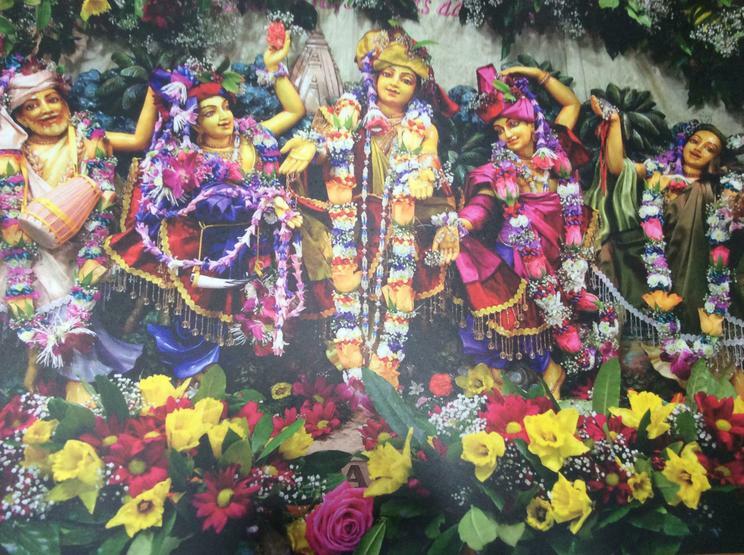 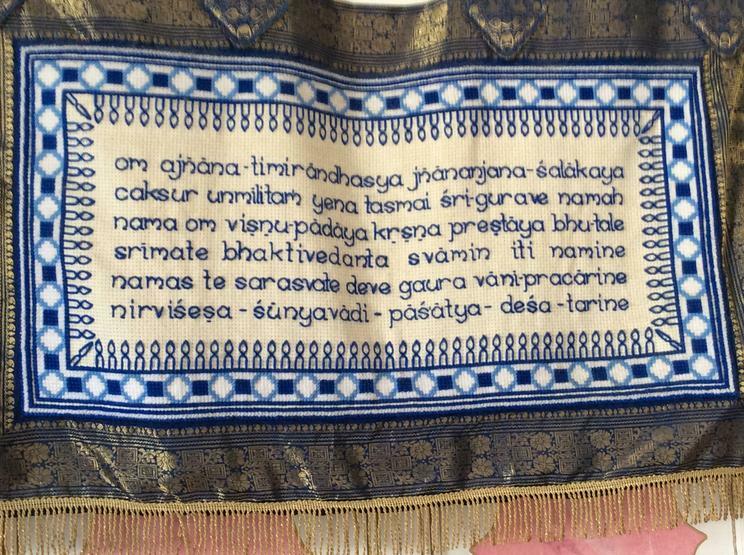 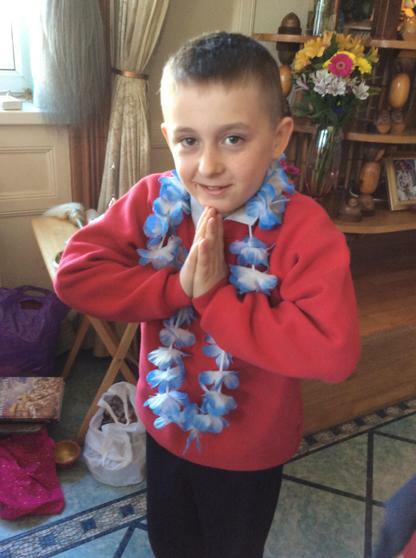 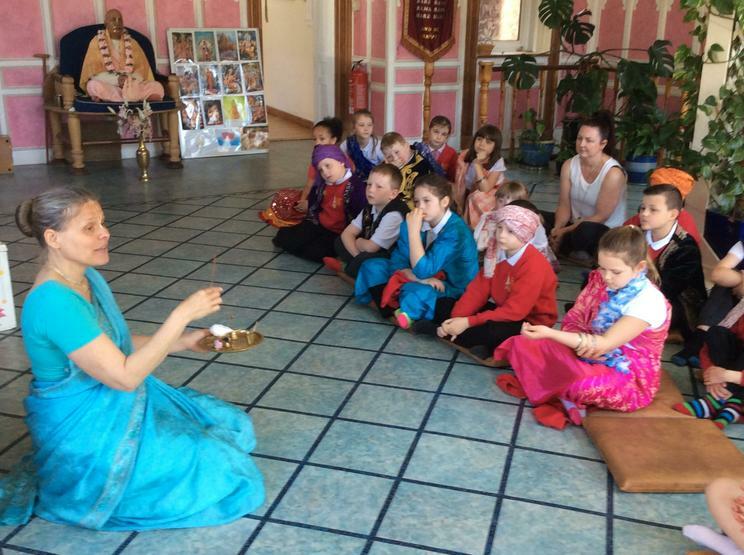 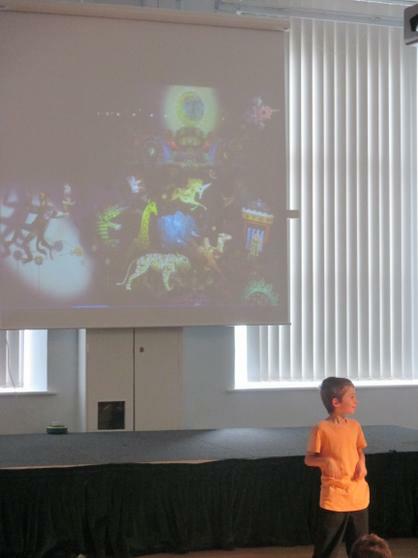 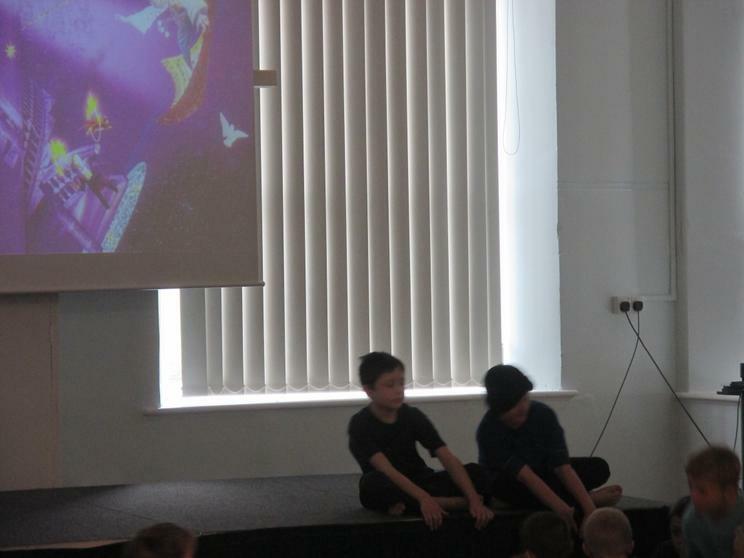 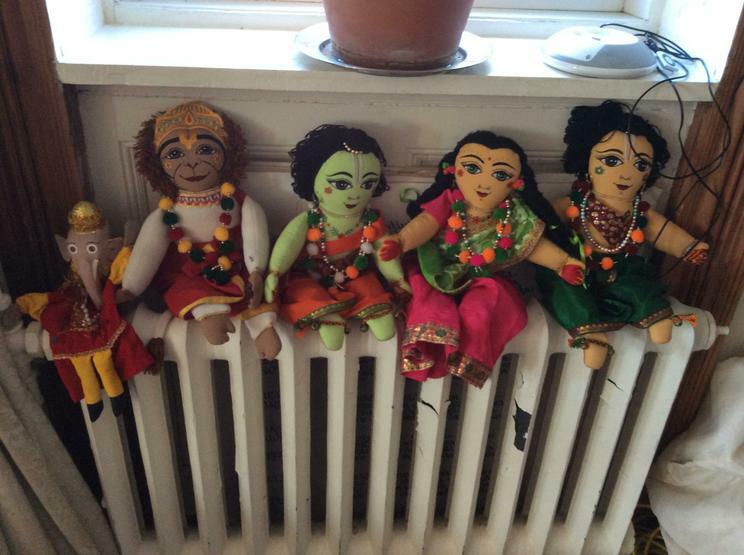 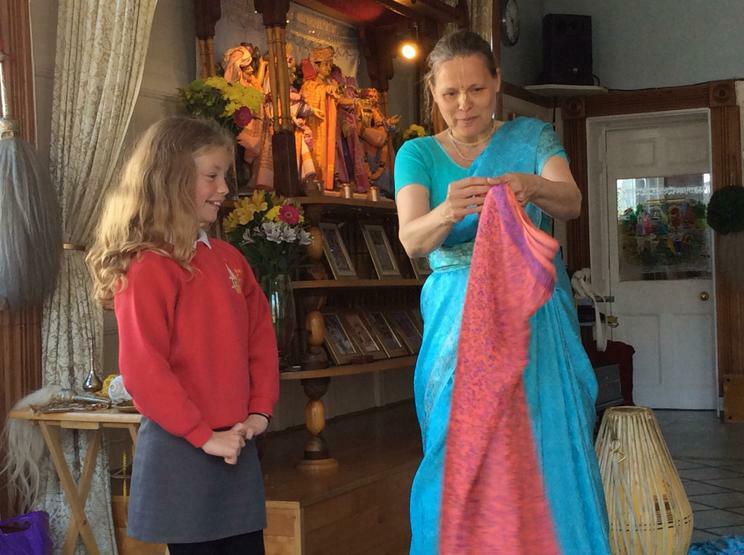 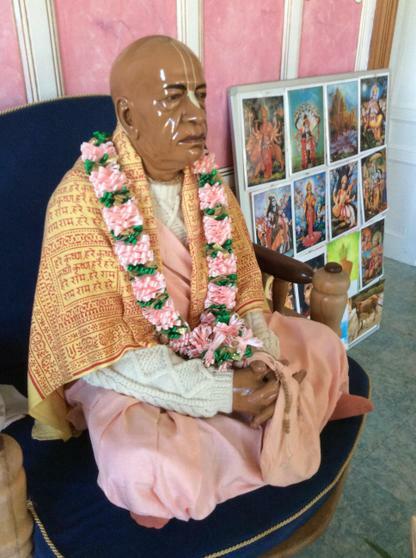 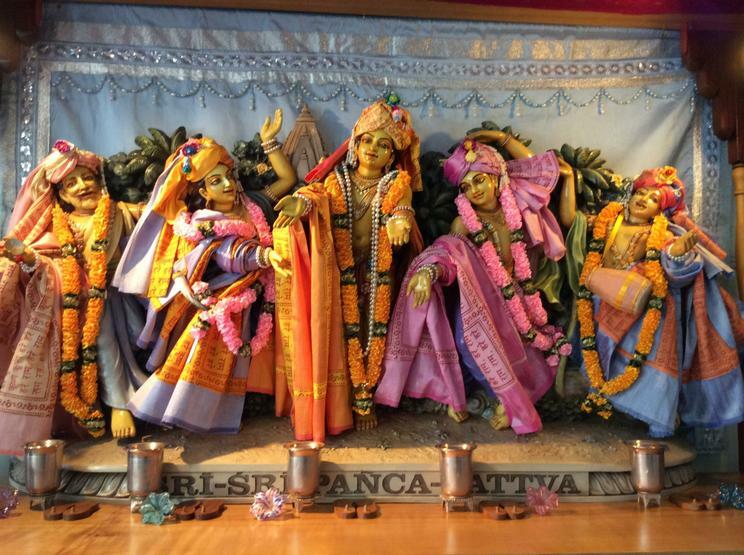 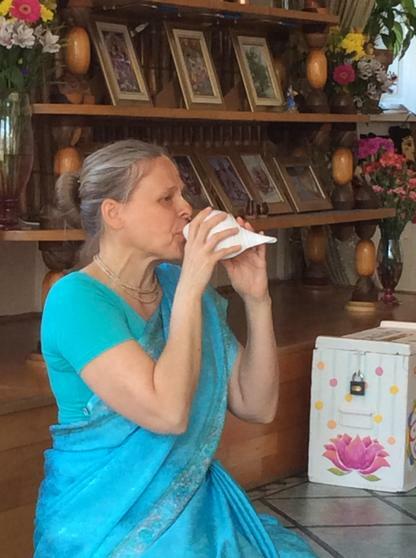 We had a really interesting visit to the ISKCON Newcastle Hindu Temple and learned from Kirtida how Hindus worship. 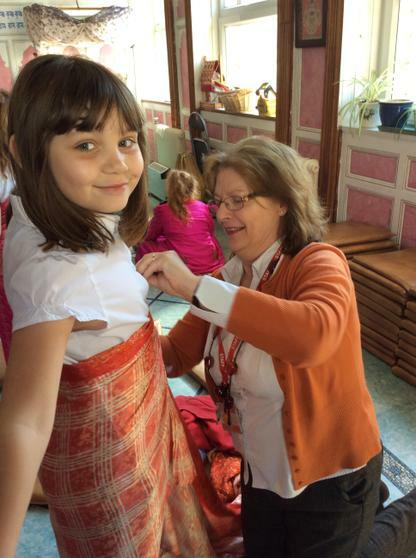 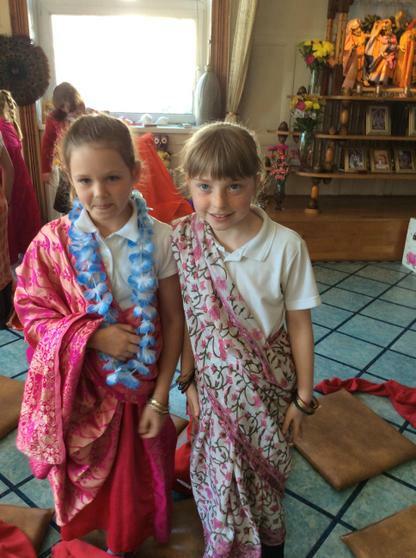 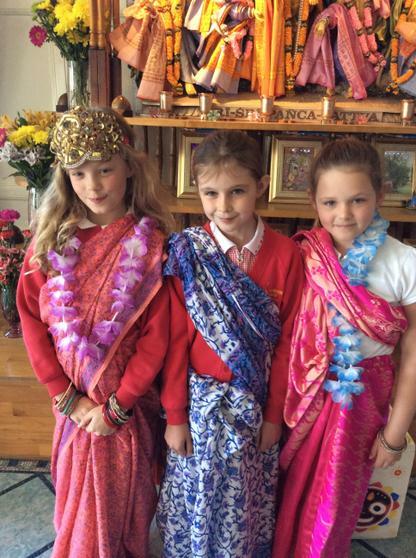 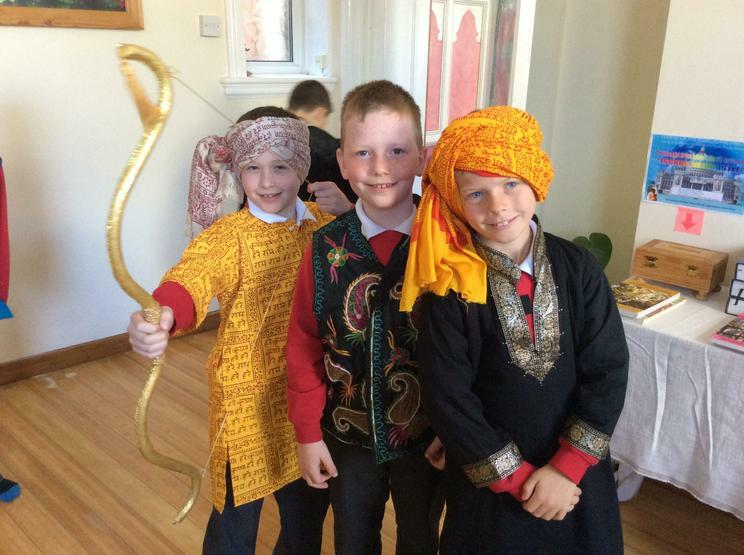 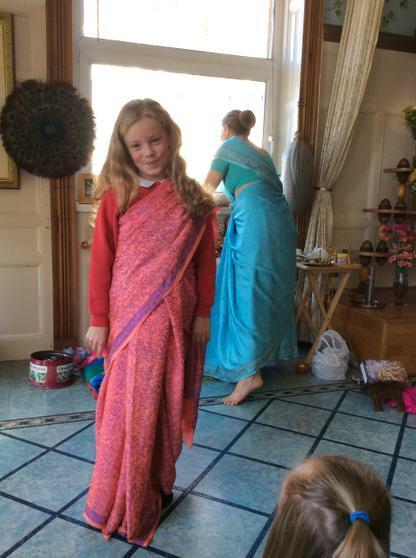 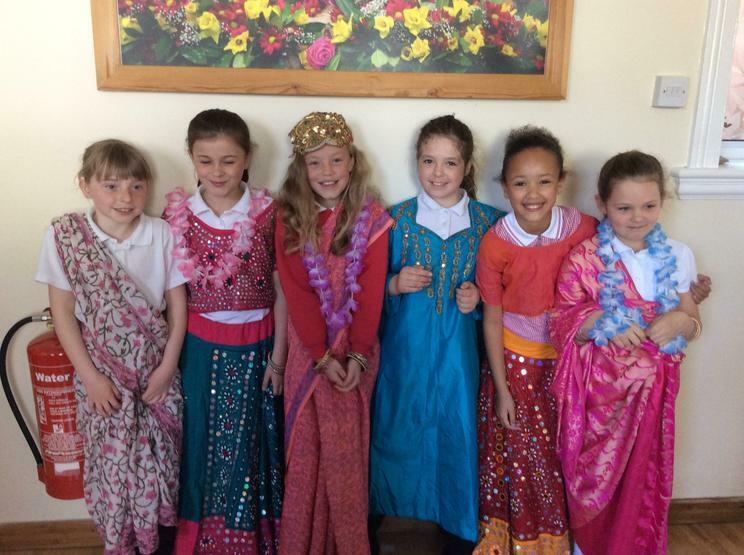 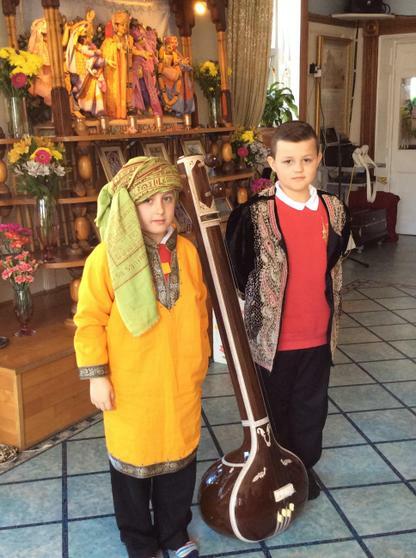 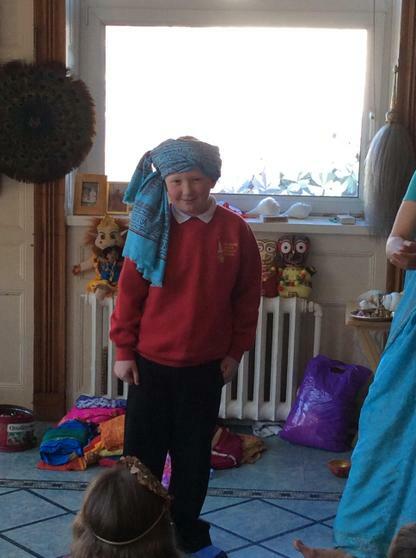 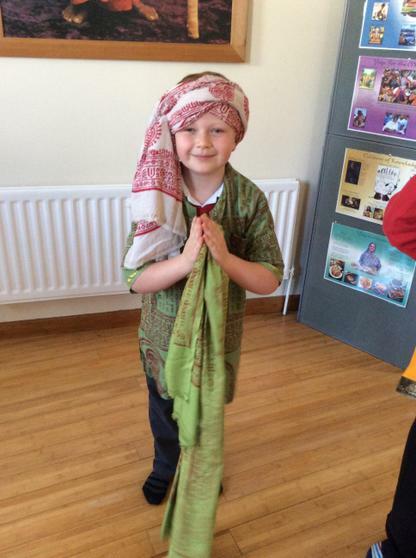 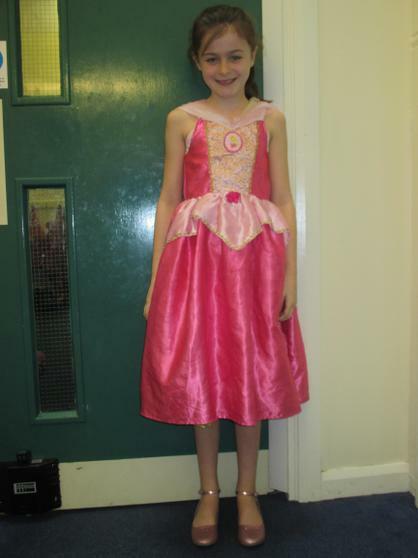 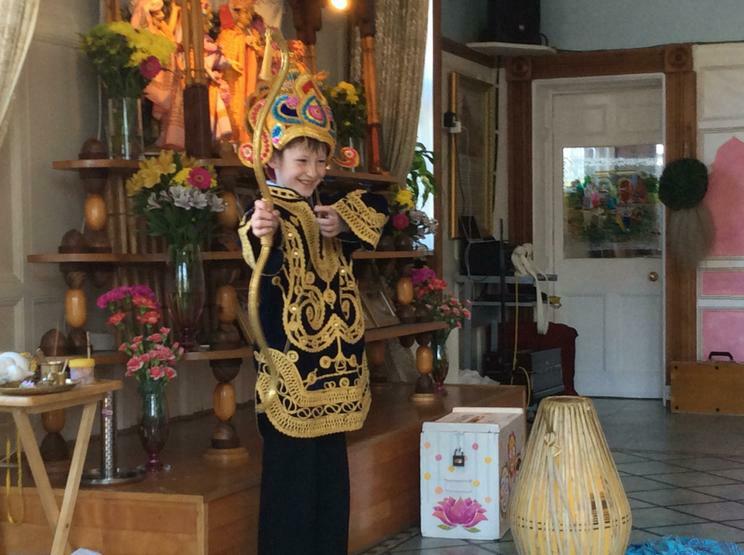 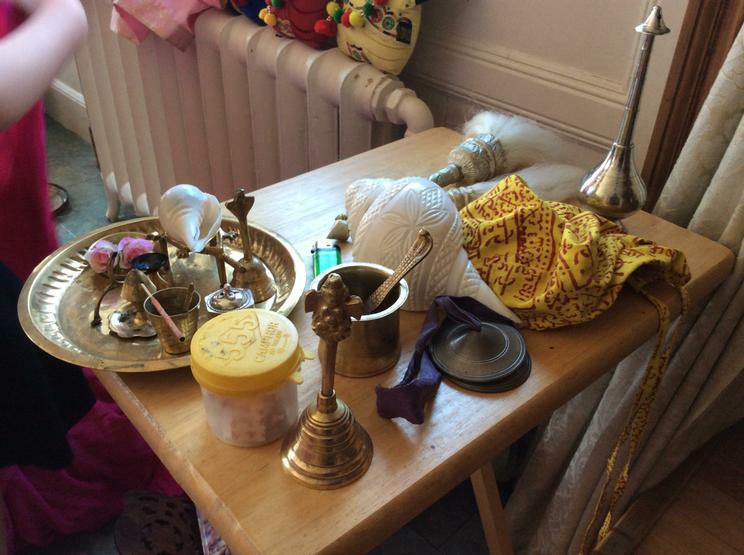 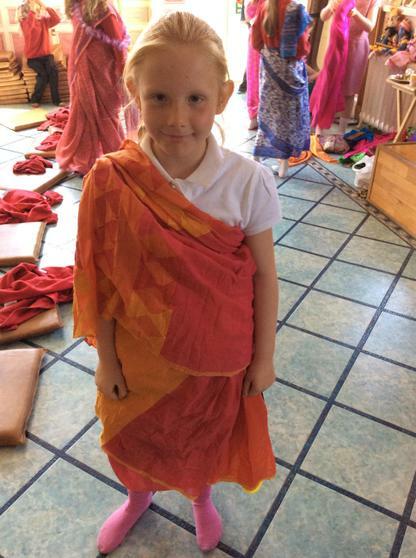 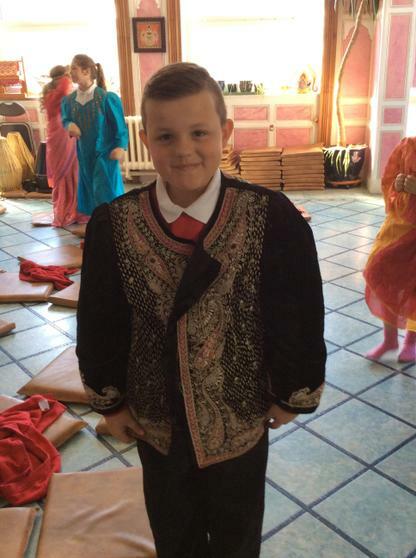 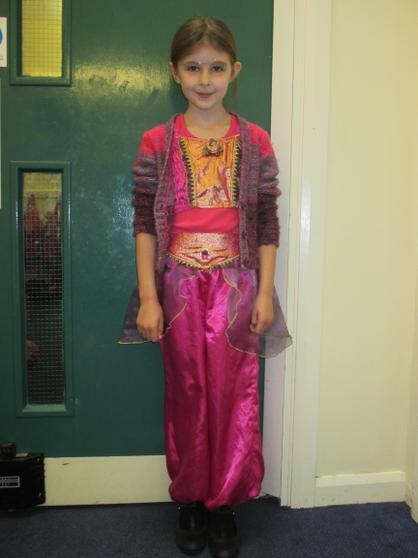 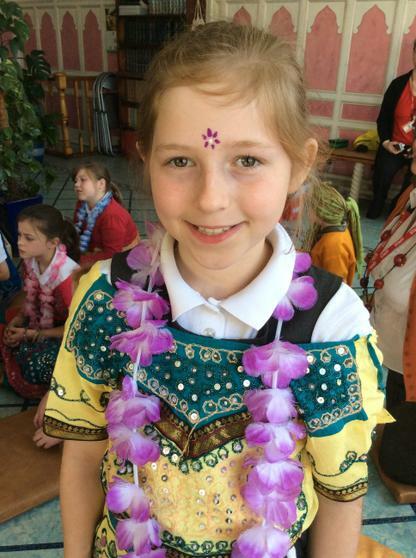 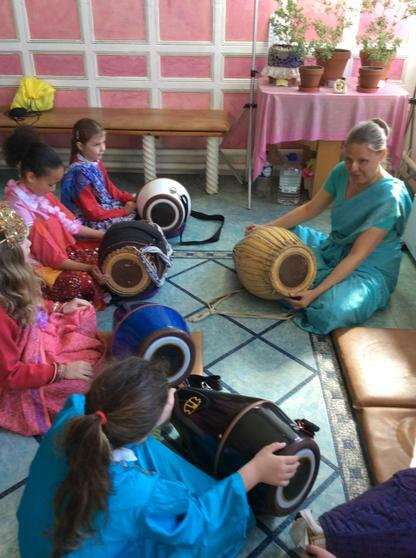 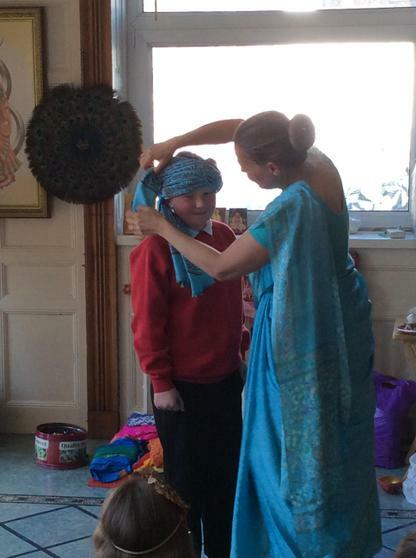 We played musical instruments and even tried on some Indian clothes. 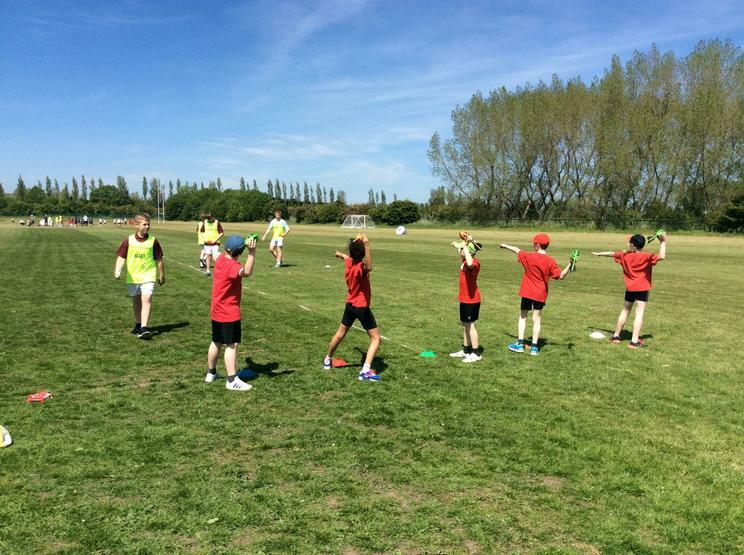 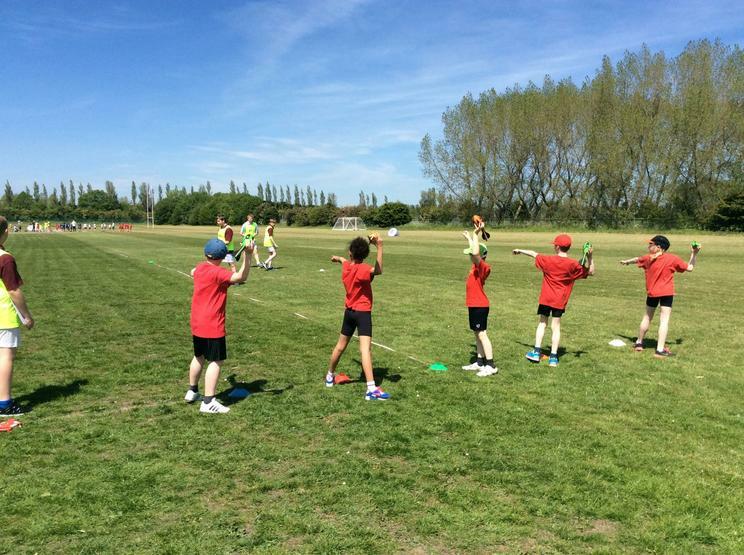 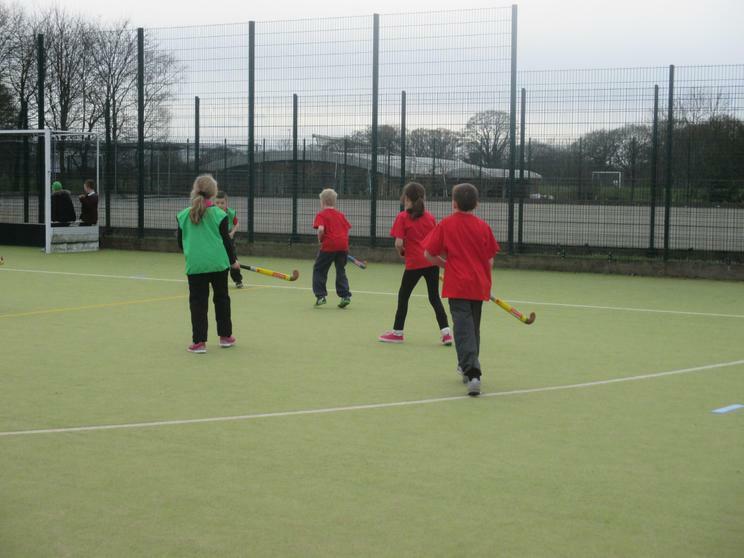 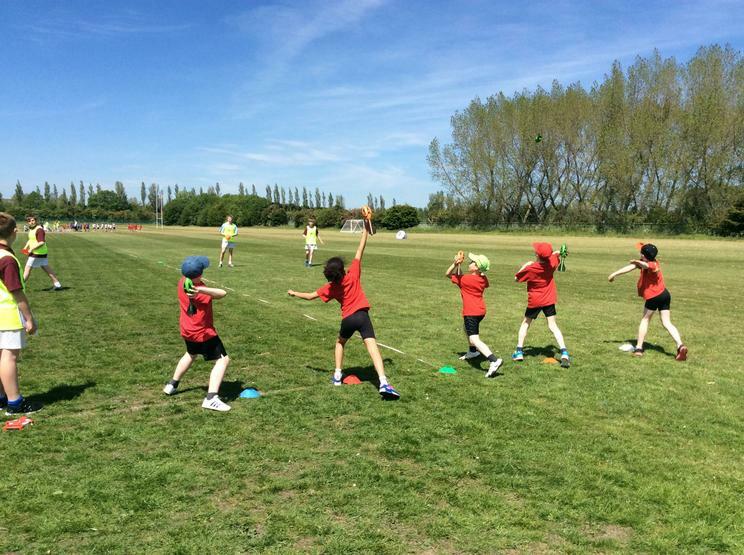 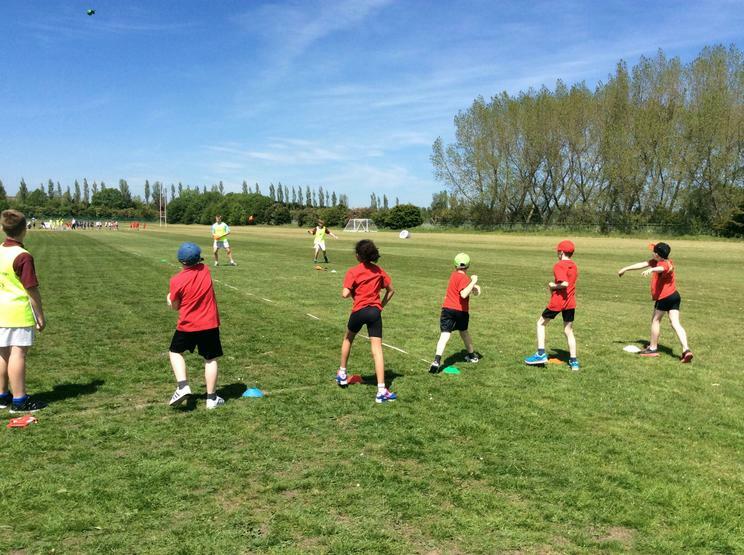 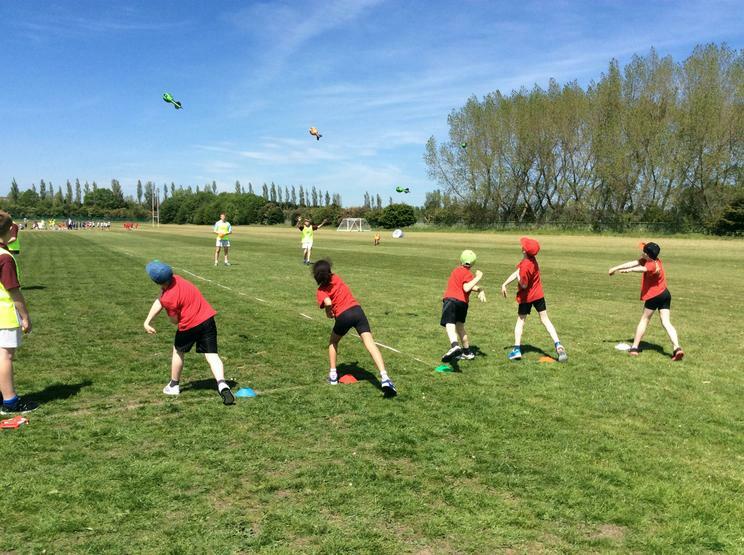 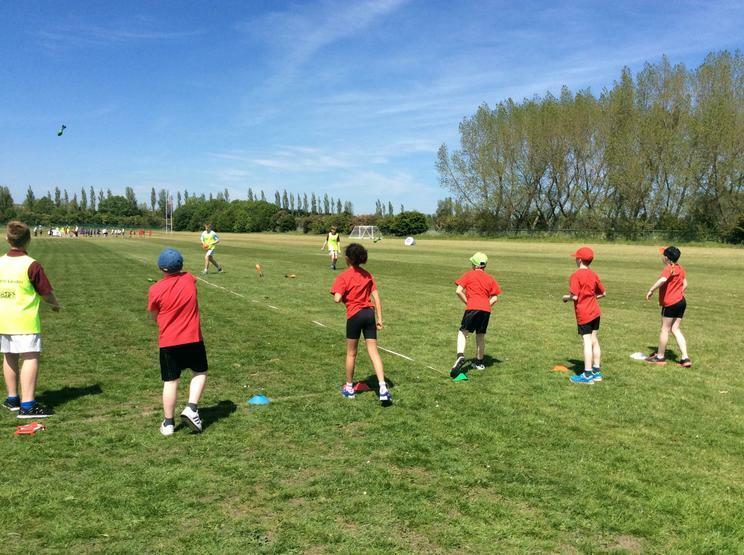 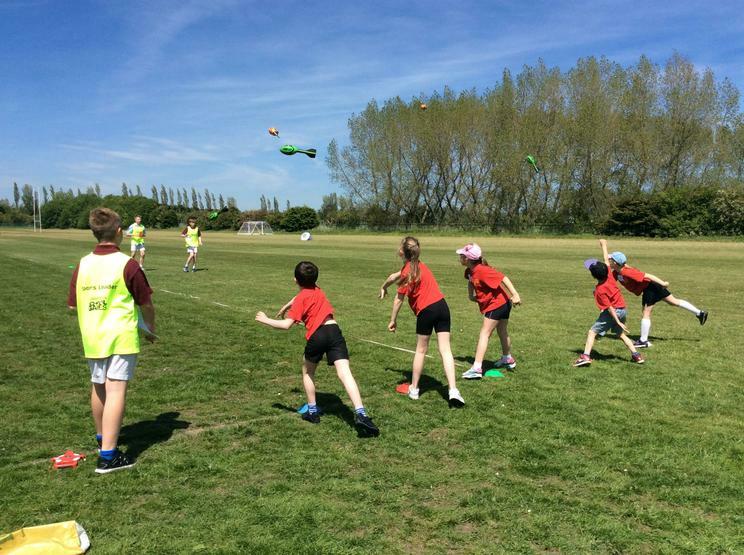 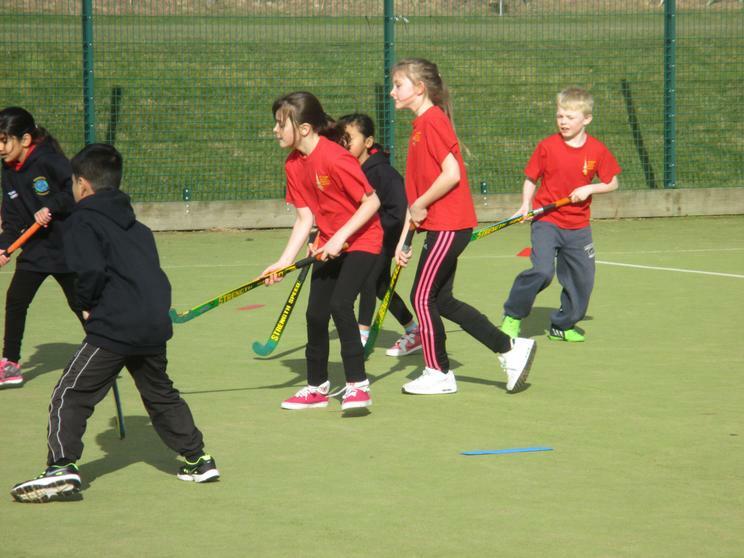 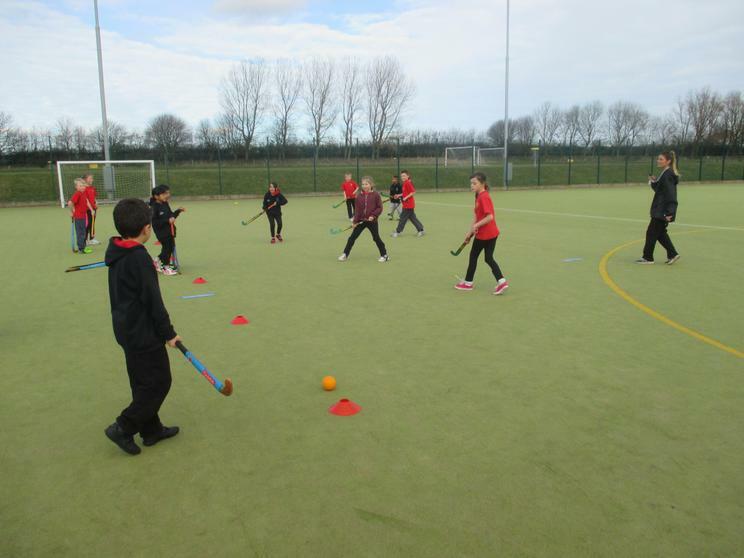 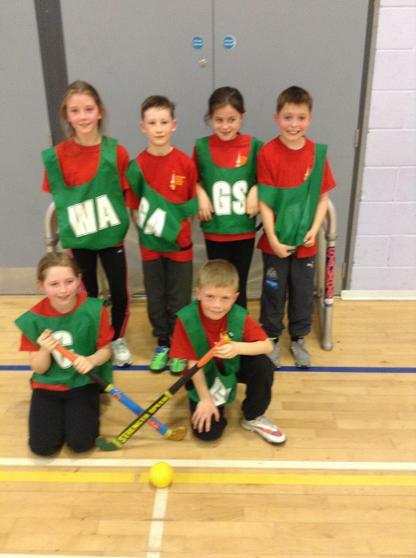 Children from Year 4 have recently taken part in another Quicksticks competition, this time playing against pupils from other schools in the Outer West Learning (OWL) Trust. 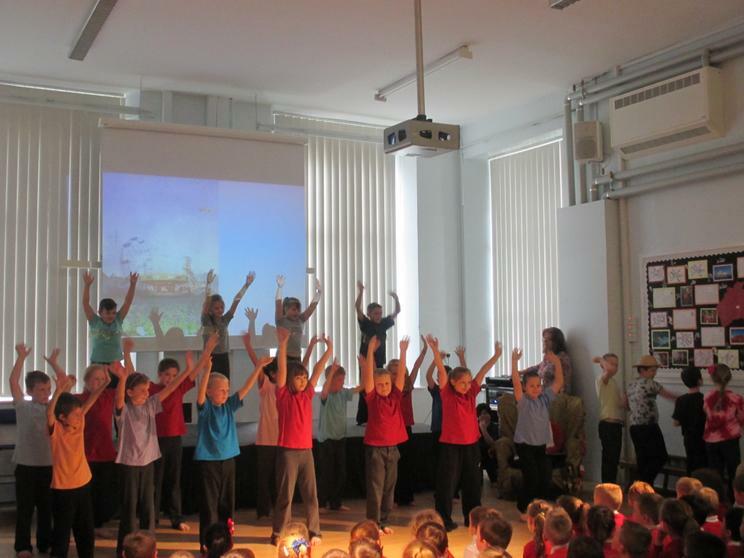 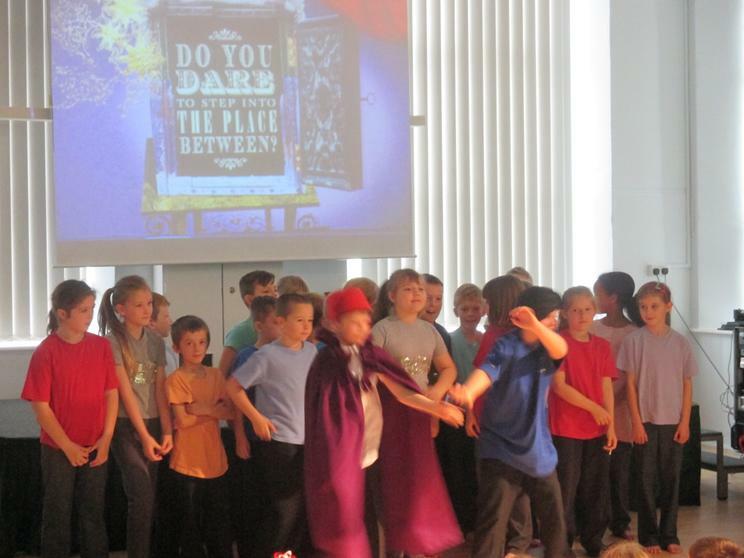 We hope you enjoy looking at these photos showing some of the highlights. 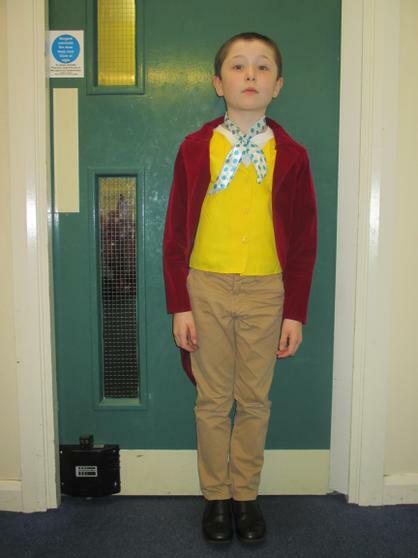 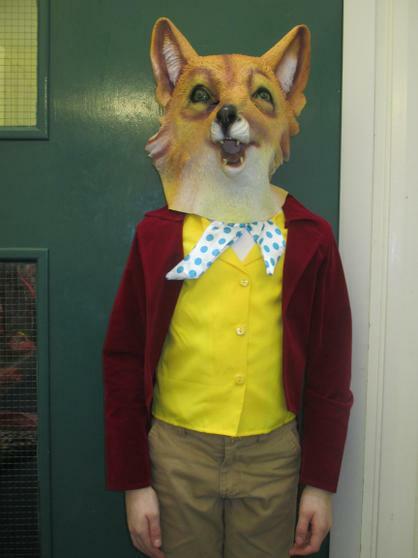 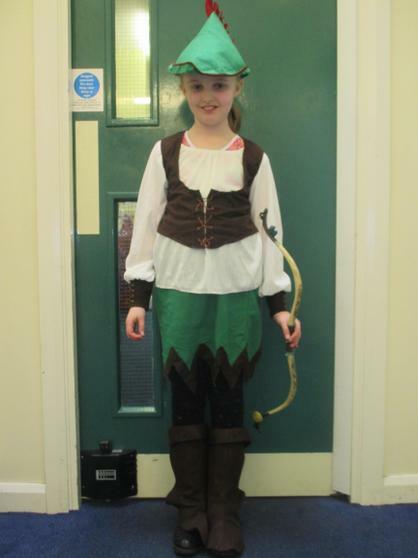 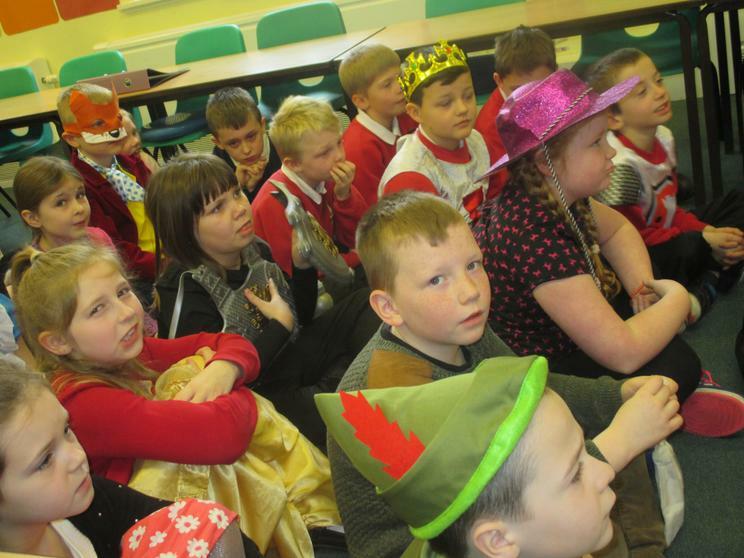 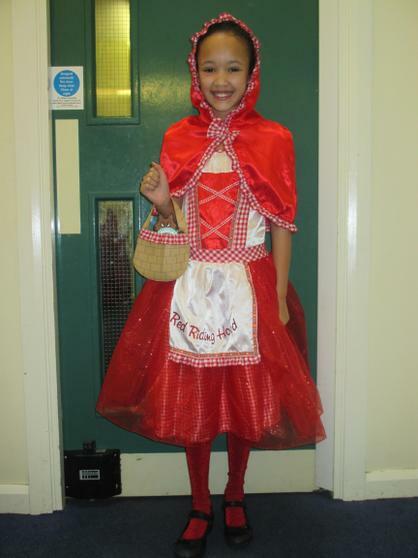 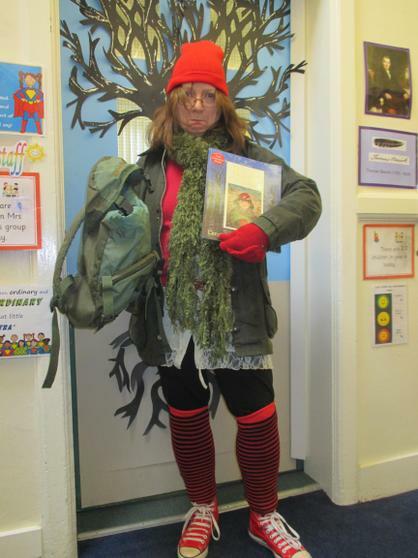 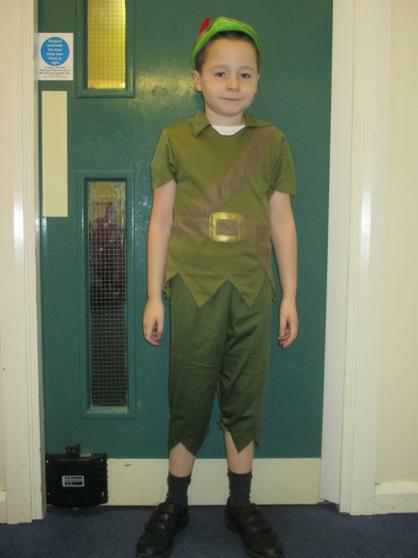 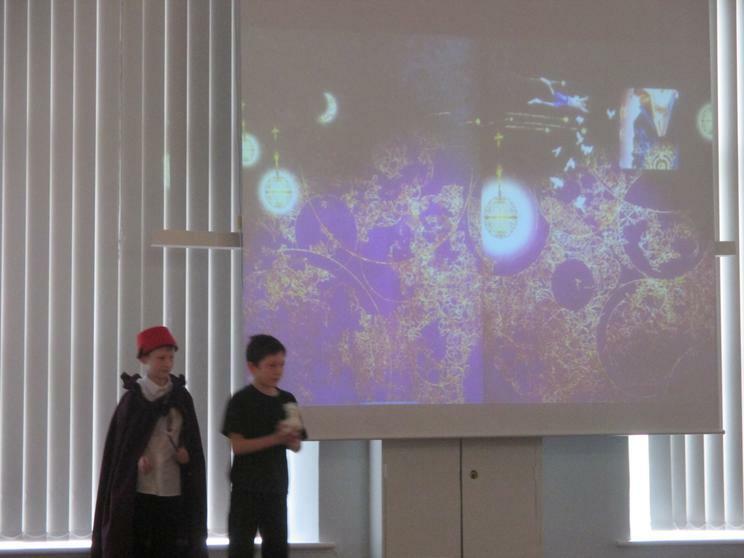 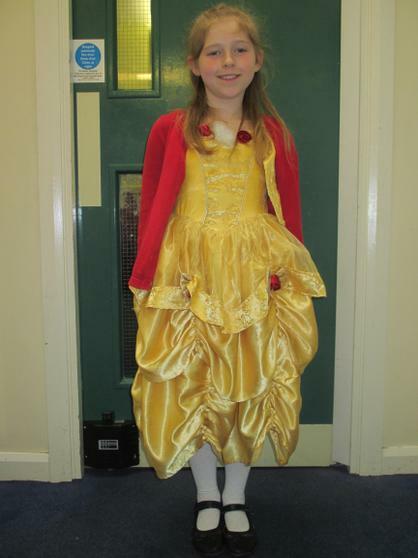 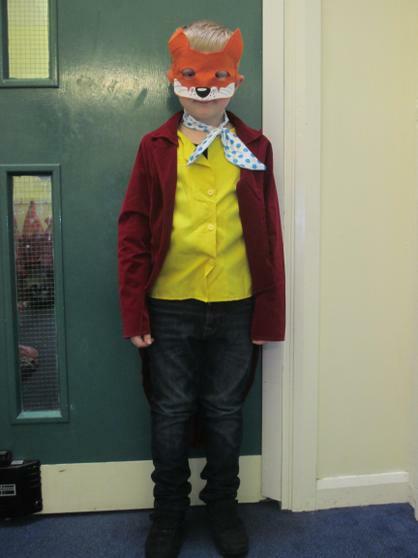 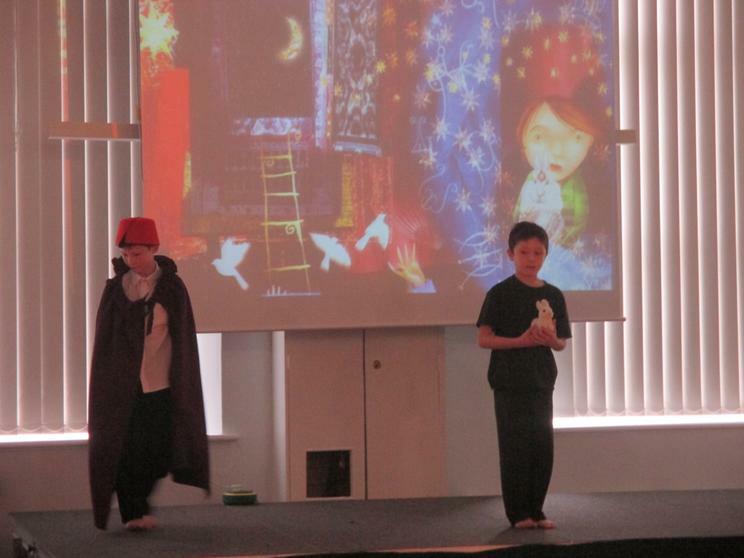 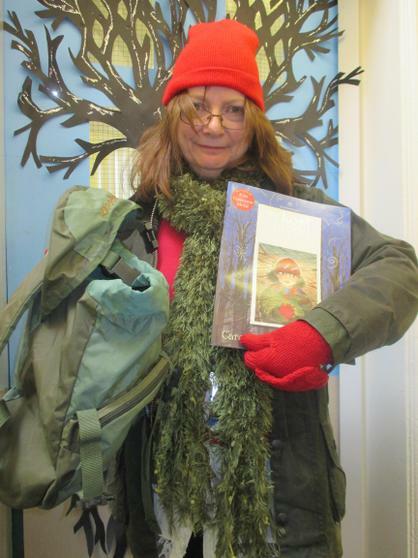 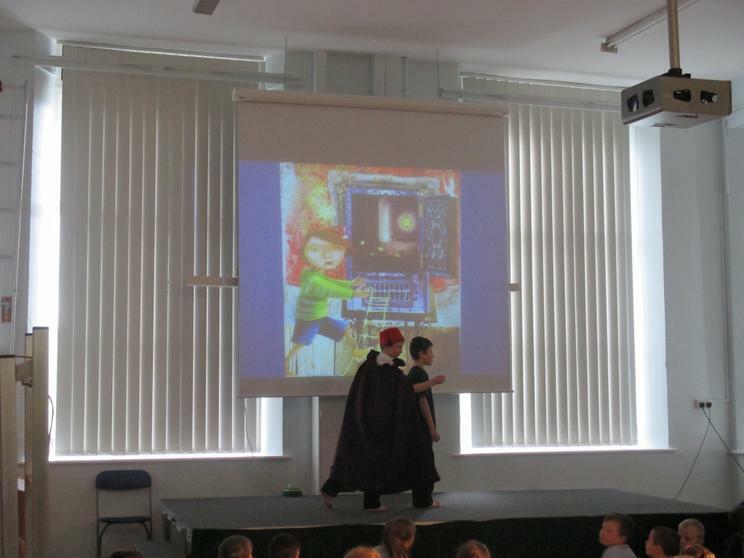 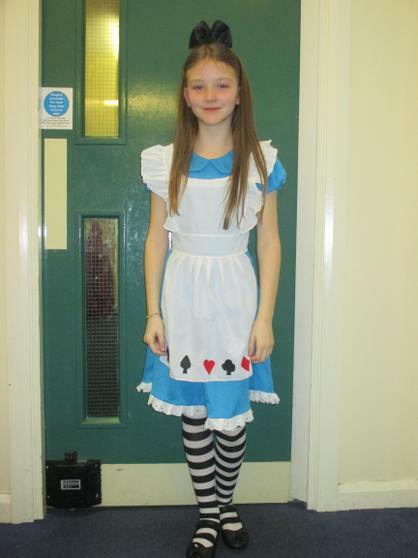 On World Book Day, we dressed as our favourite fairytale characters. 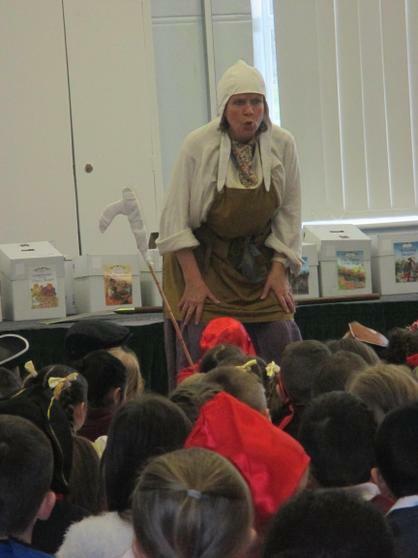 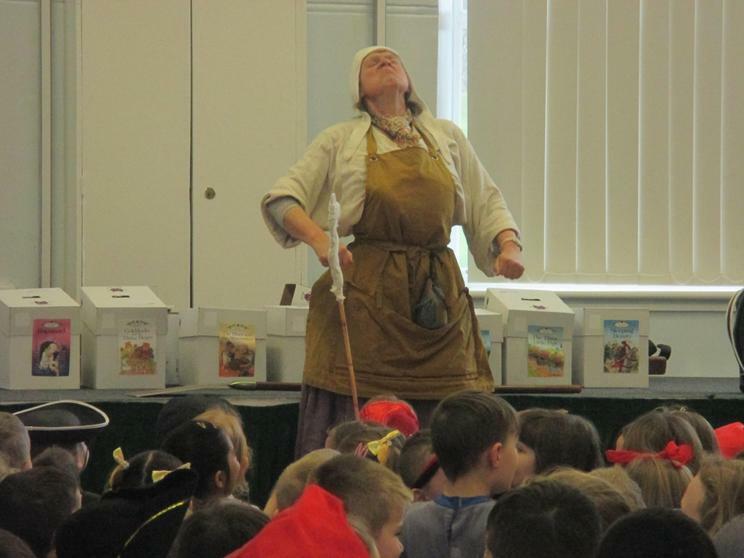 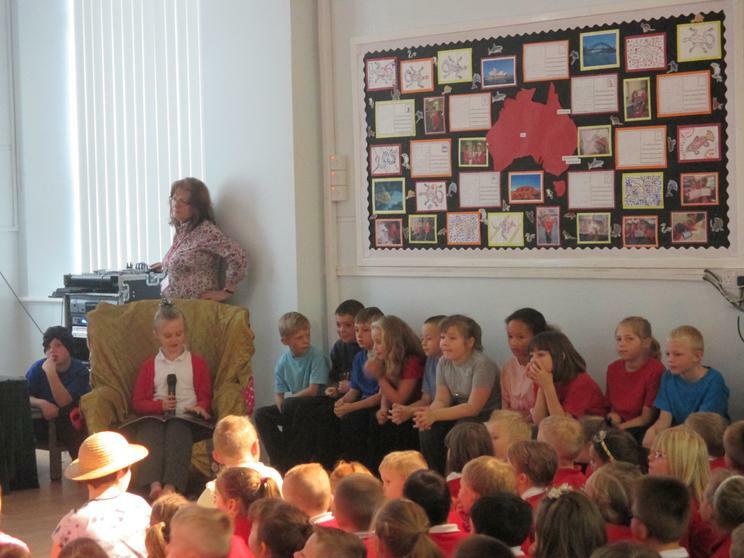 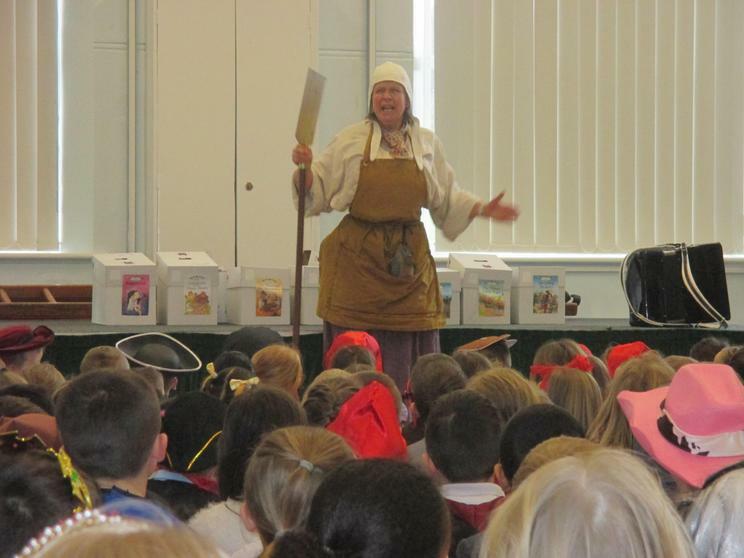 Ma Baker visited school and we all listened intently as she told everyone an amazing story about a fearsome giant who wanted to eat children! 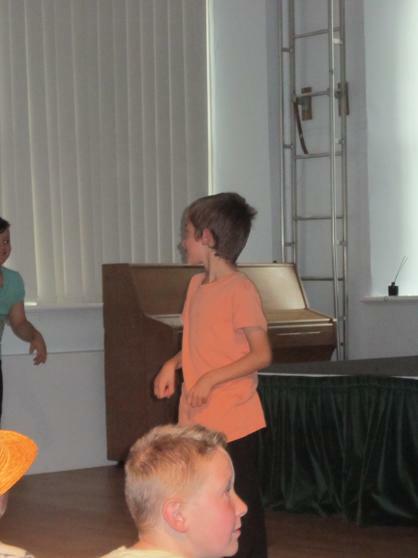 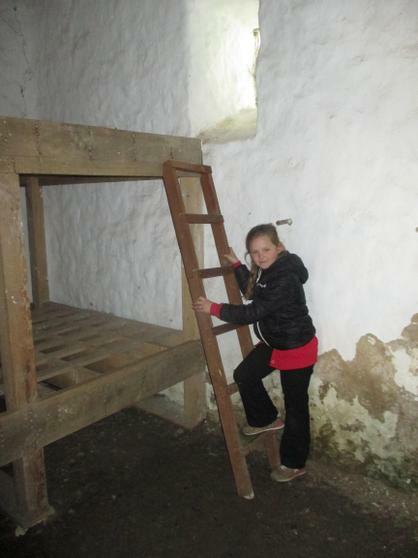 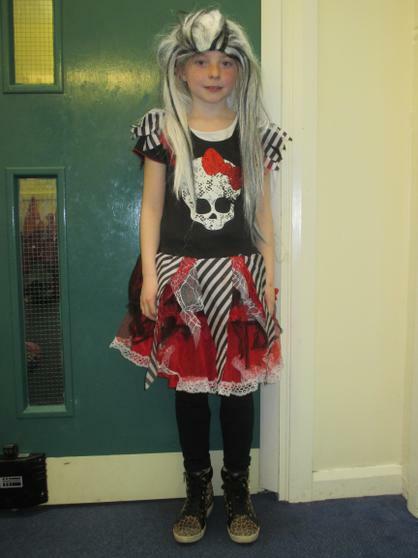 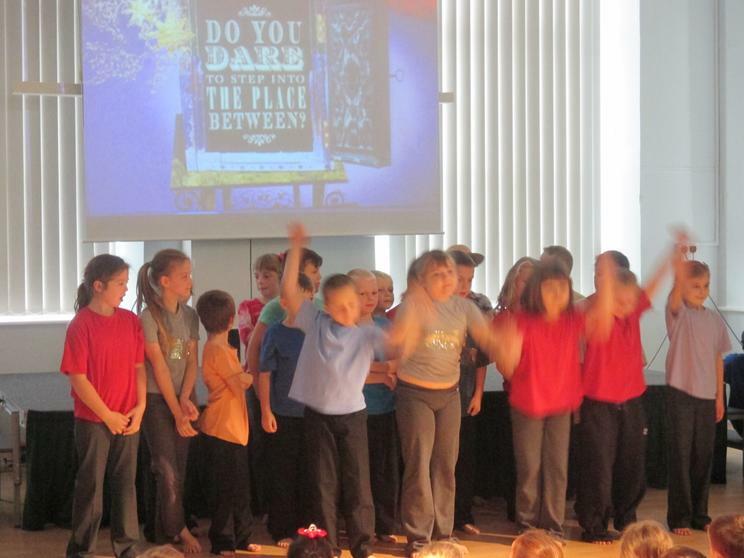 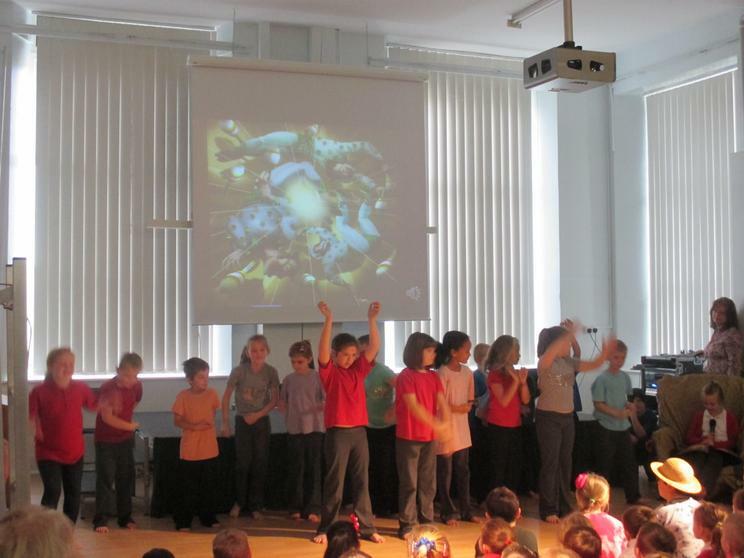 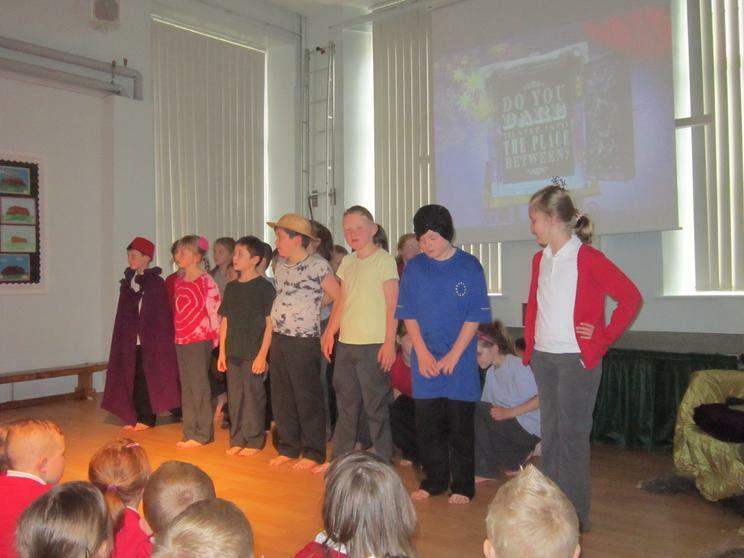 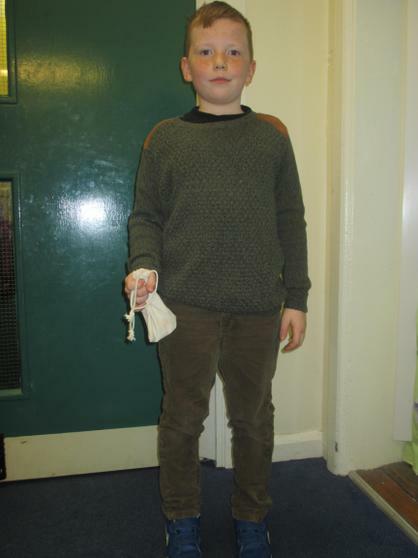 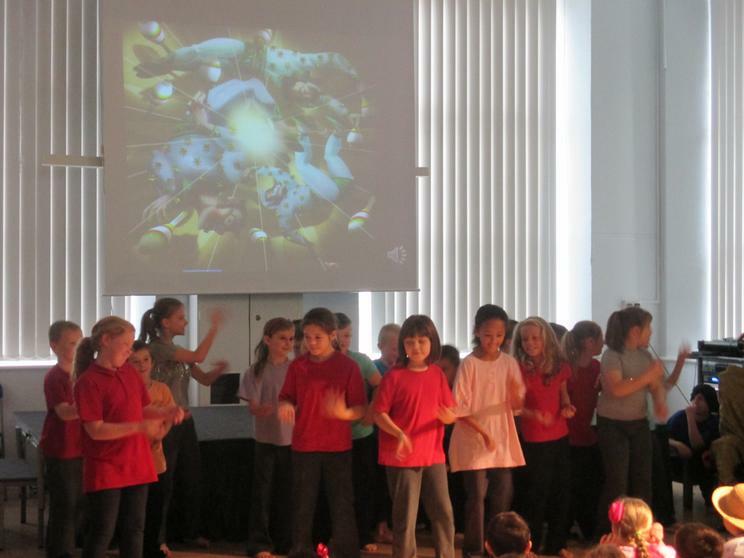 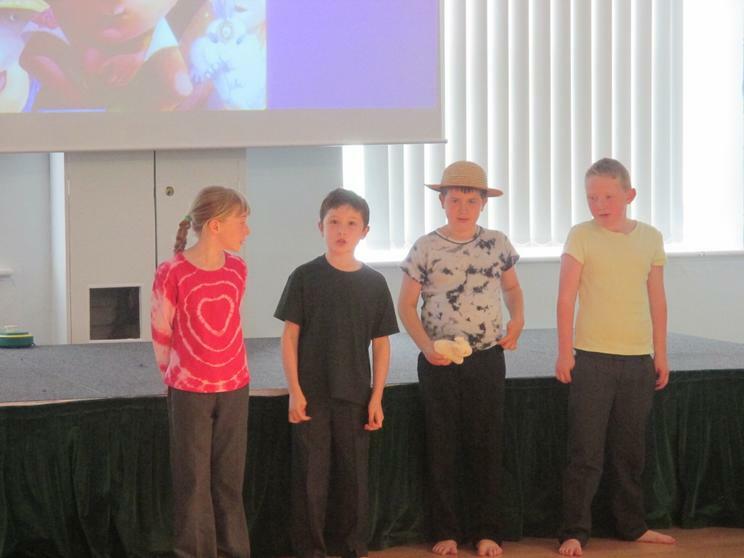 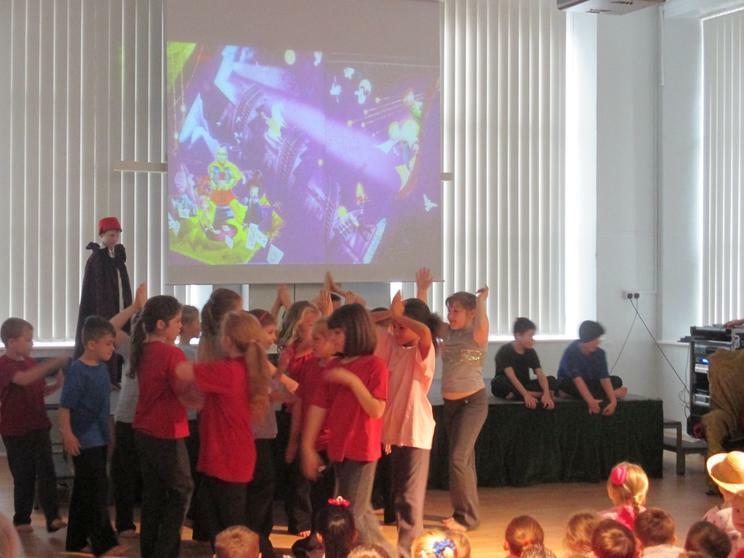 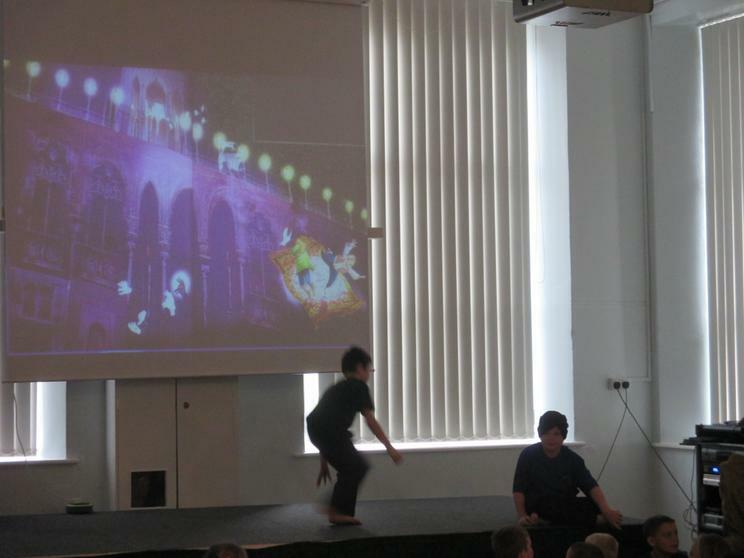 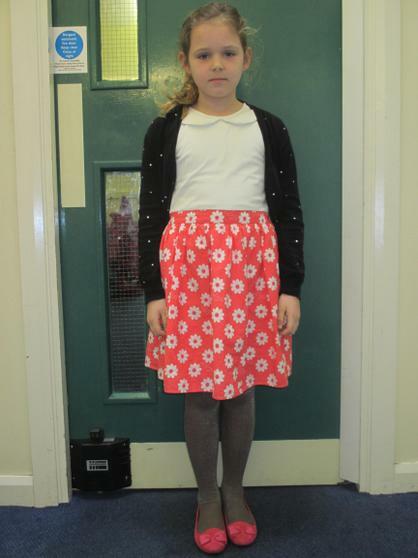 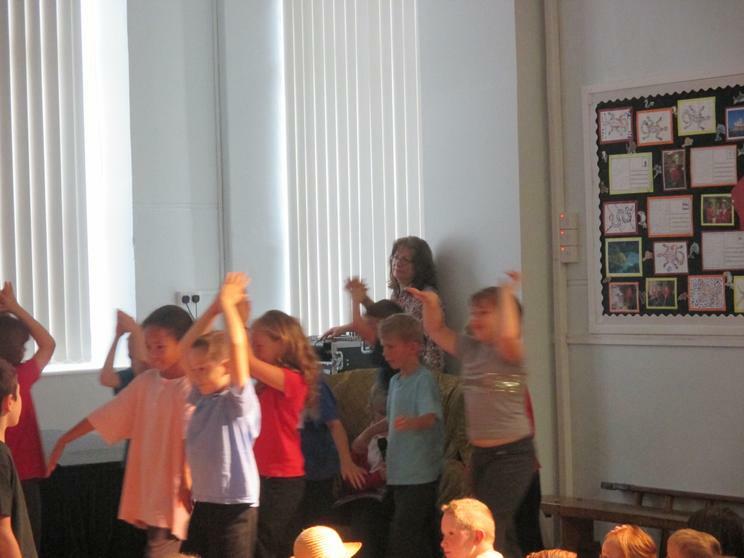 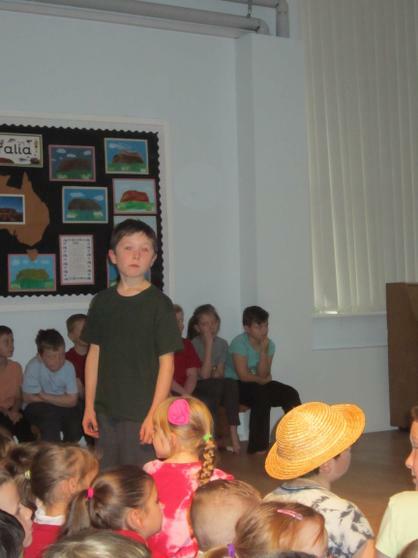 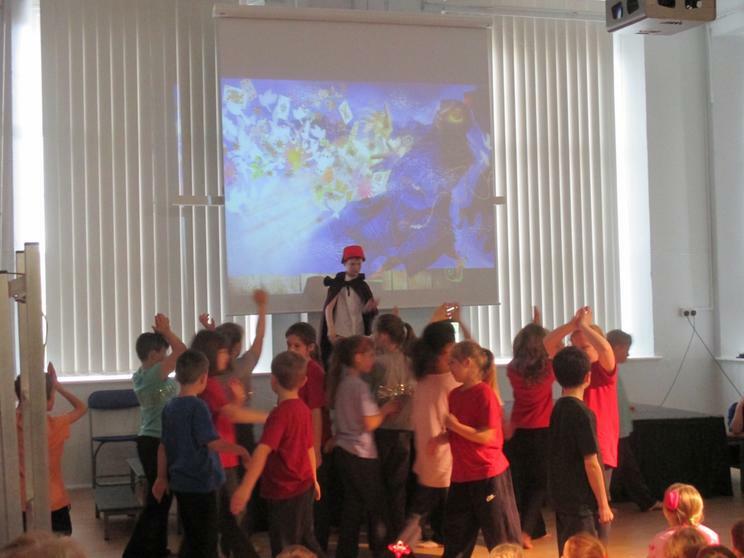 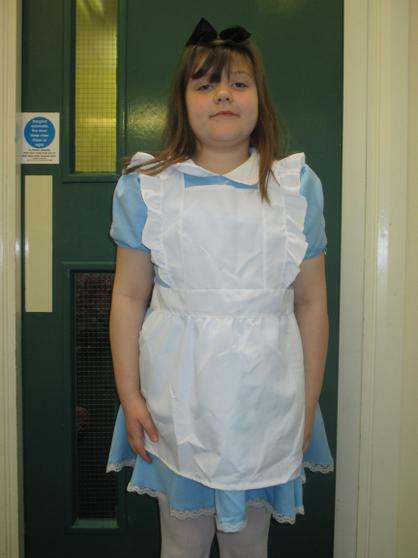 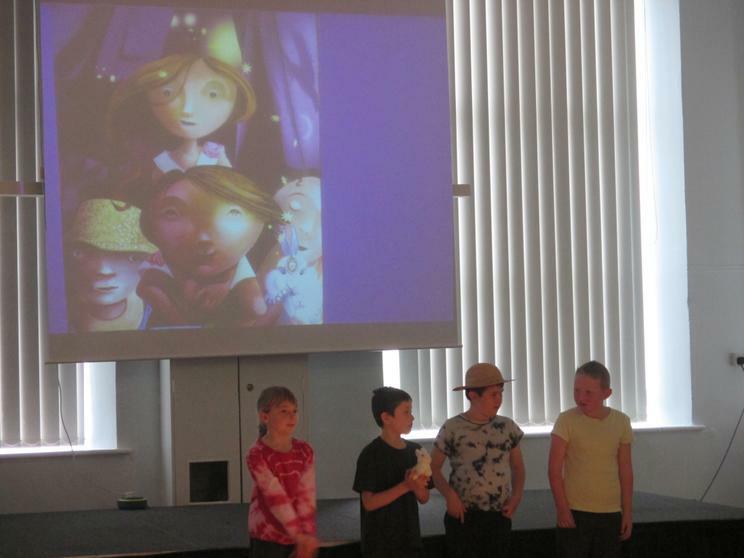 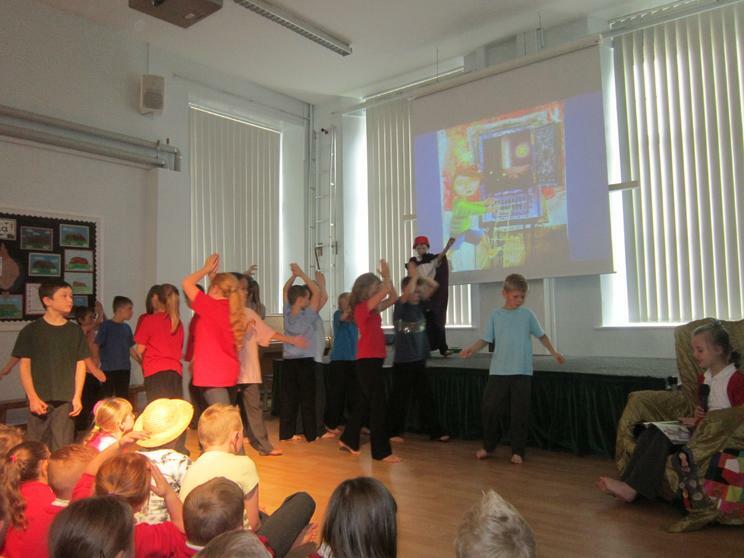 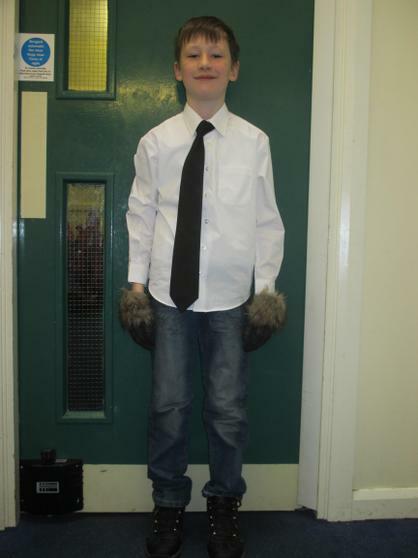 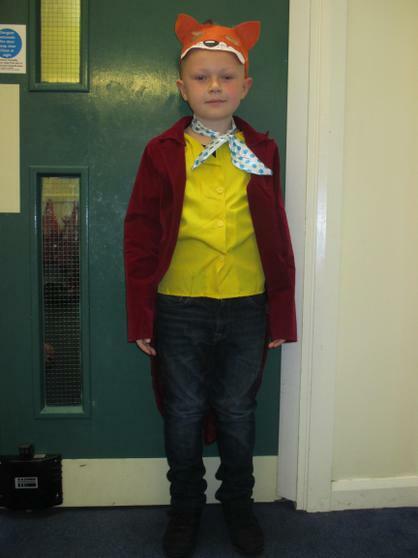 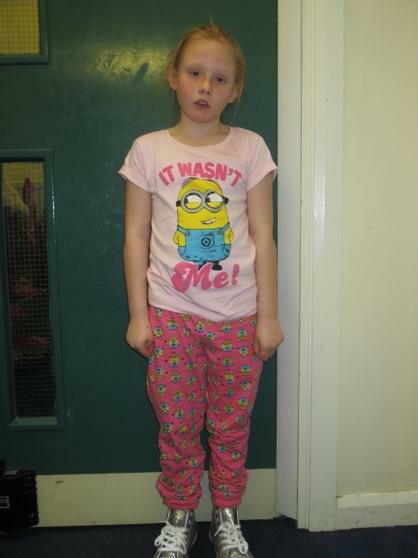 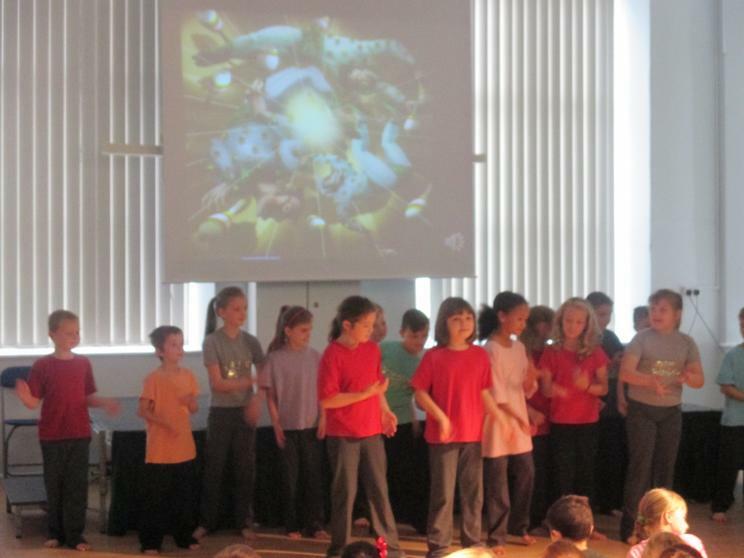 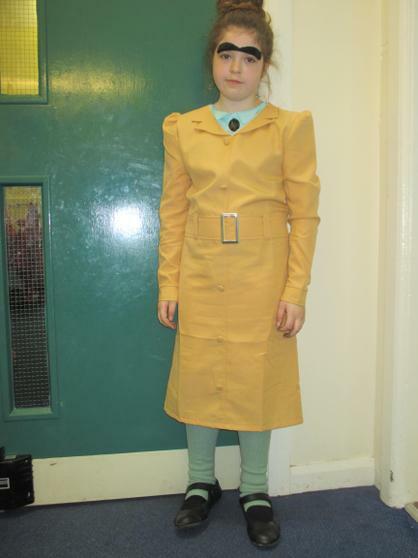 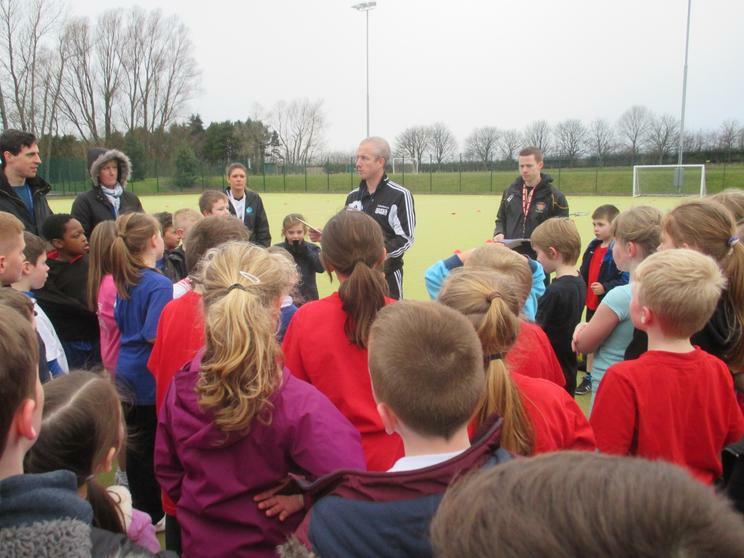 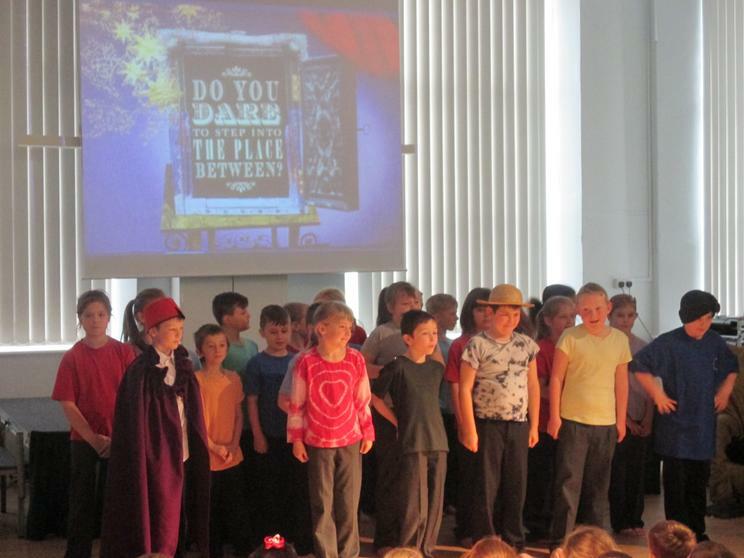 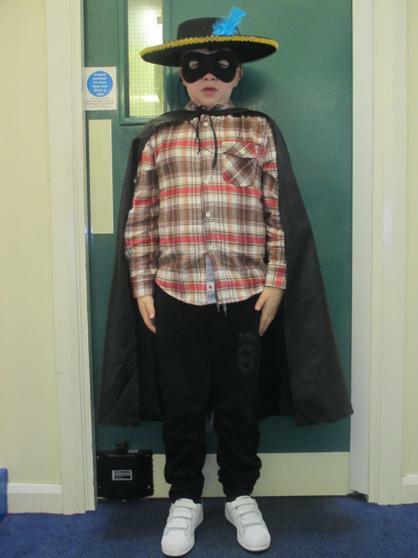 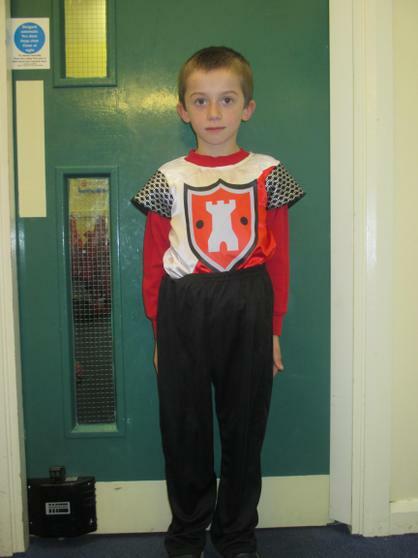 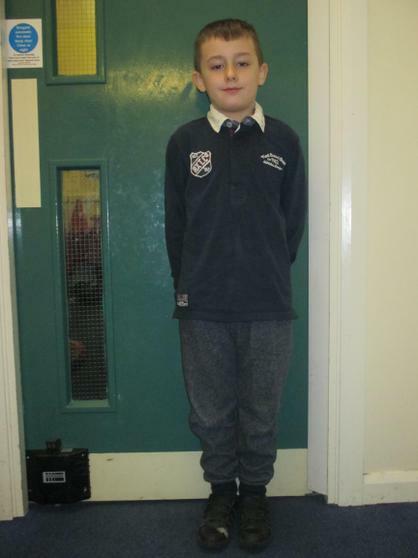 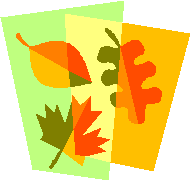 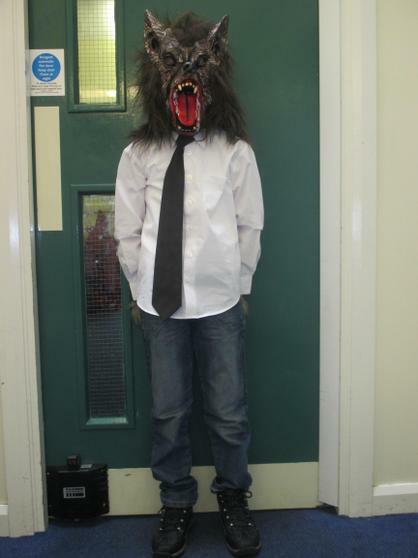 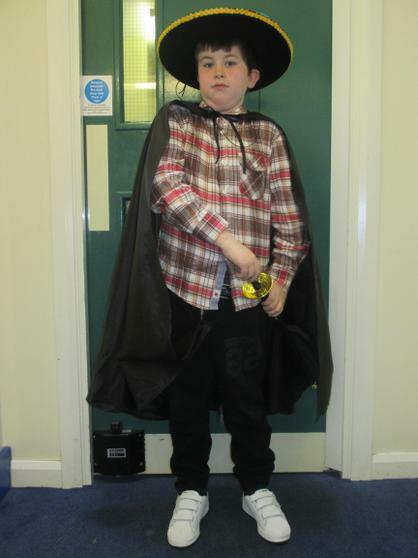 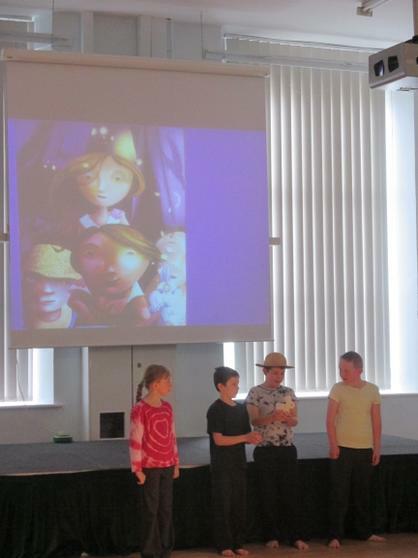 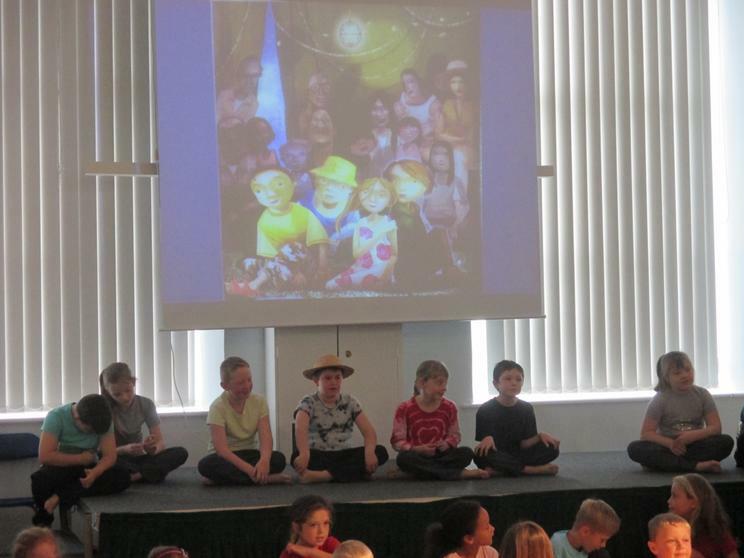 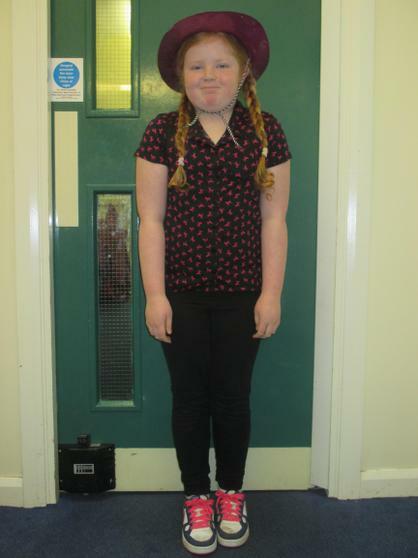 We helped to create a clever plan to keep the children safe from harm and make a happy ending. 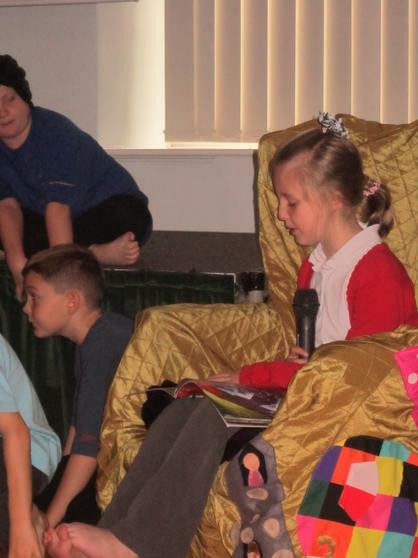 In class, Mrs Dooley told us the story of 'The Lost Happy Endings', written by Carol Ann Duffy and beautifully illustrated by Jane Ray. 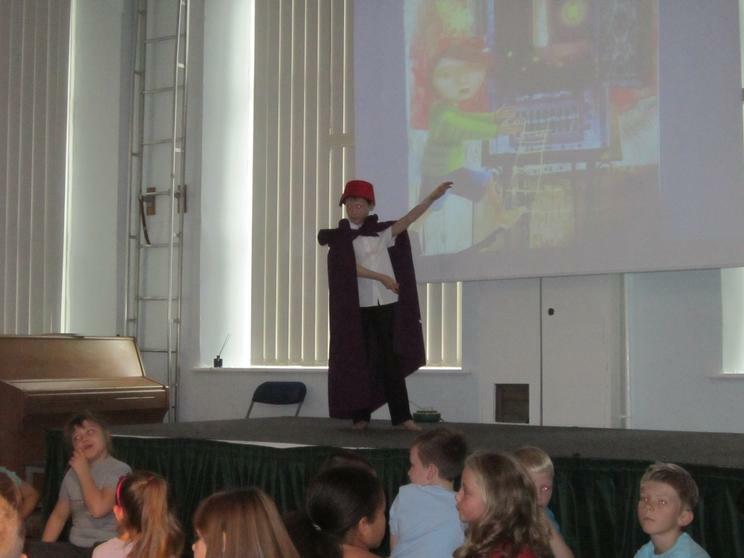 This was about a girl named Jub, whose job was to make sure that every story told in the world ended well. 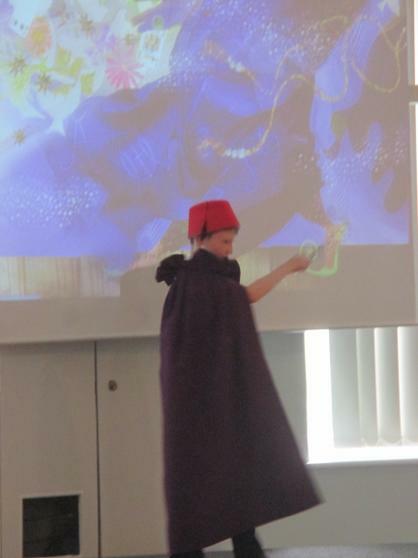 However, Jub got caught by a wicked witch who stole all the happy endings. 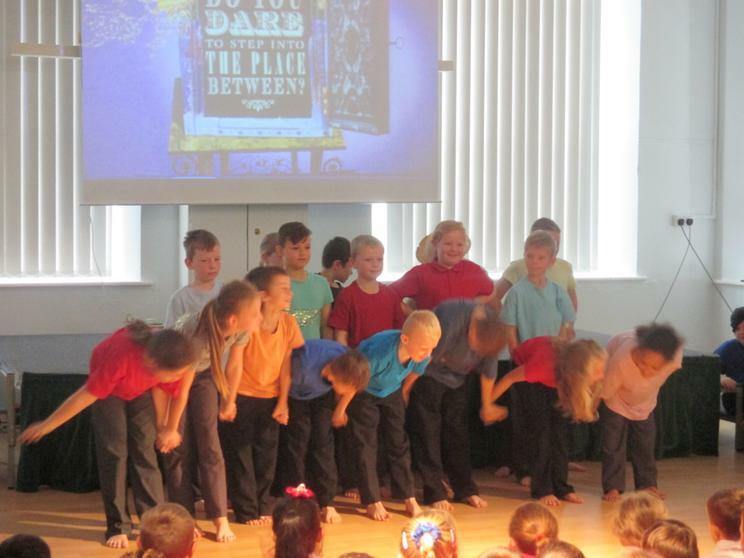 Fortunately this story did have a happy conclusion too! 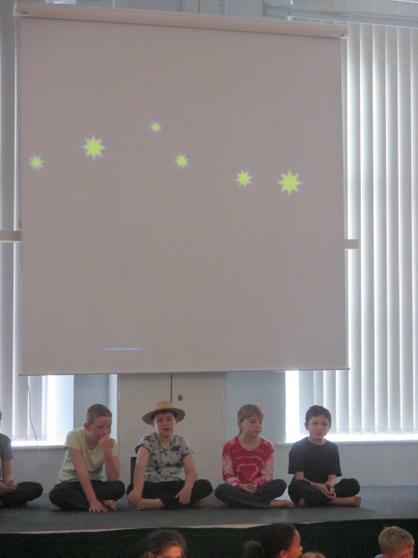 We spent the afternoon making charcoal pictures of tree silhouettes like those in the book illustrations and we wrote some happy endings of our own, using a gold pen, just like the one that Jub used to write her own happy ending in the night sky. 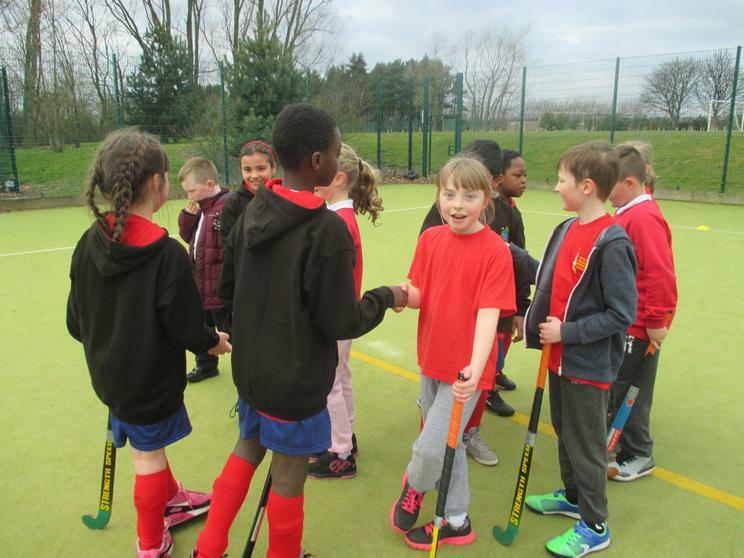 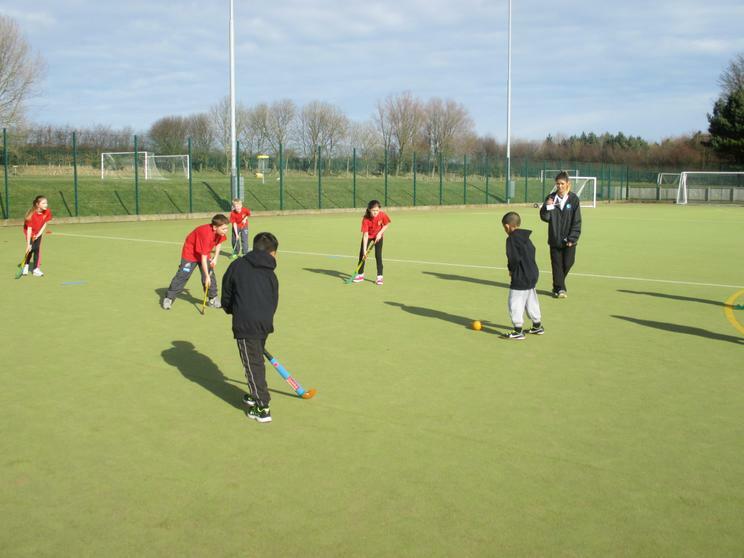 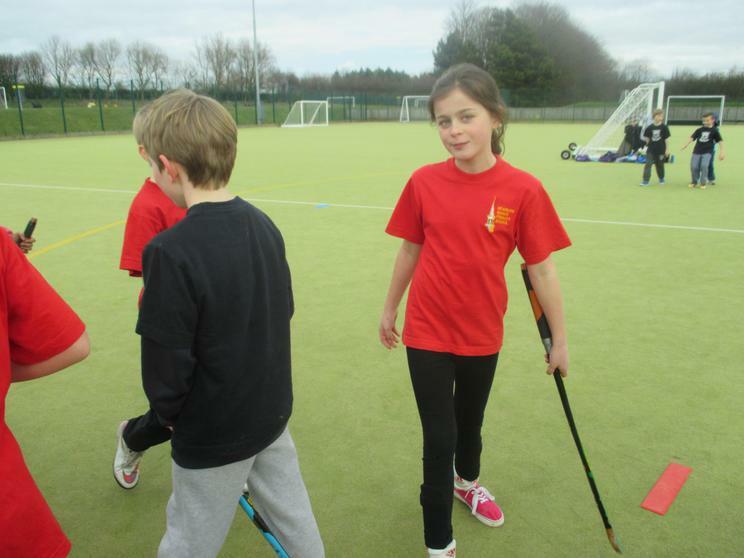 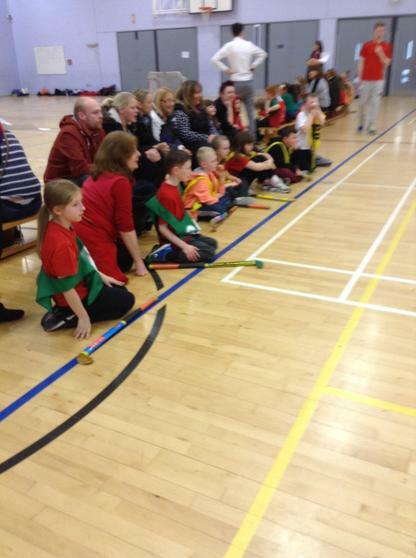 Year 4 children have been taking part in an inter-school Quicksticks Level 2 Hockey Festival as part of Sainsbury's School Games. 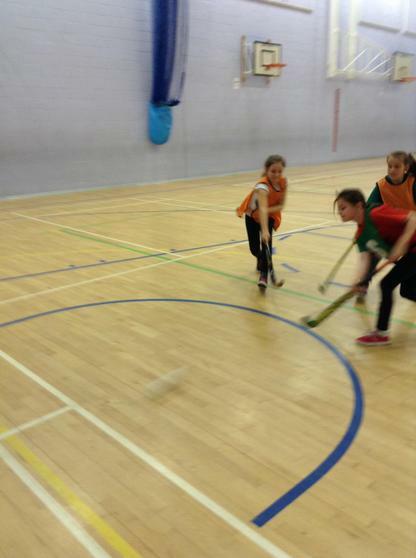 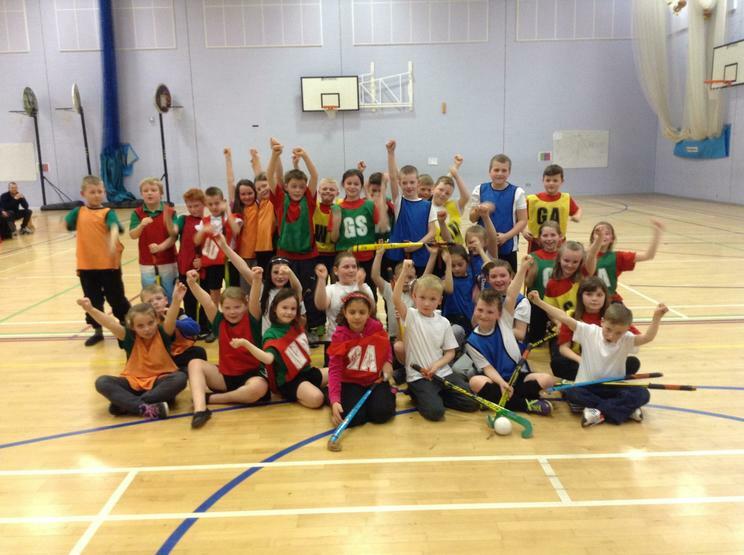 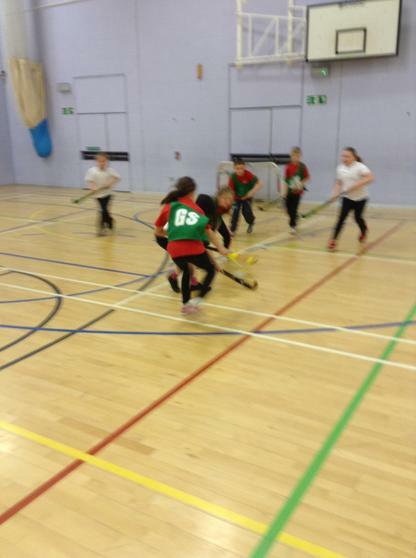 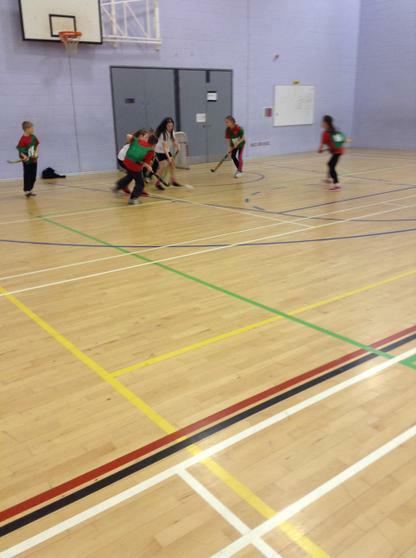 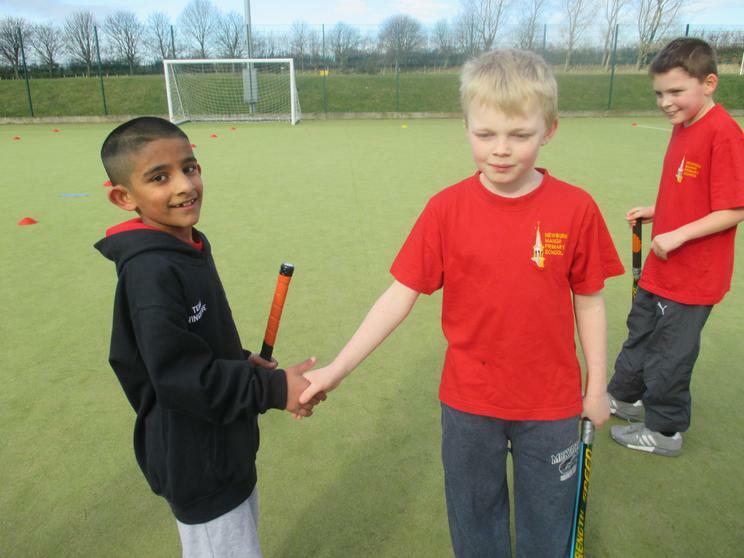 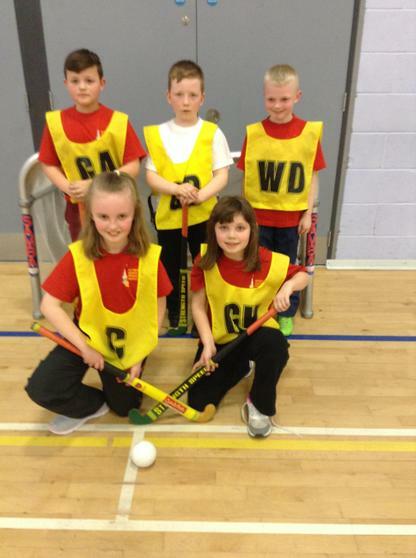 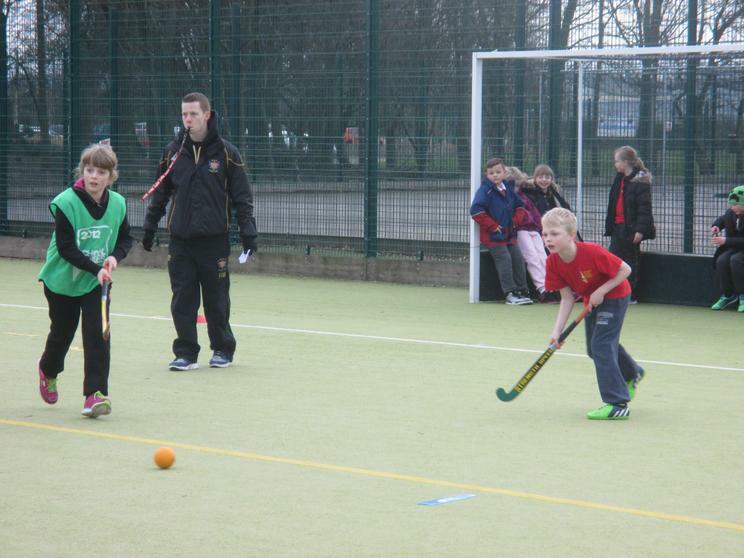 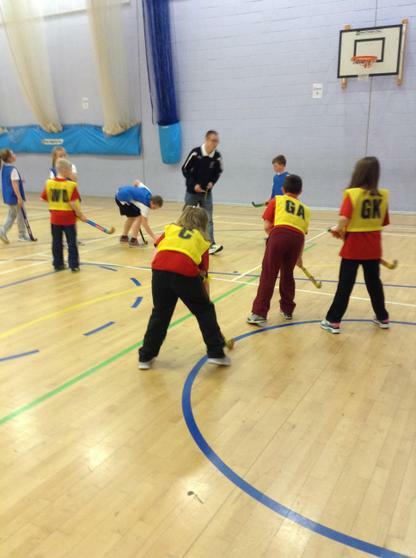 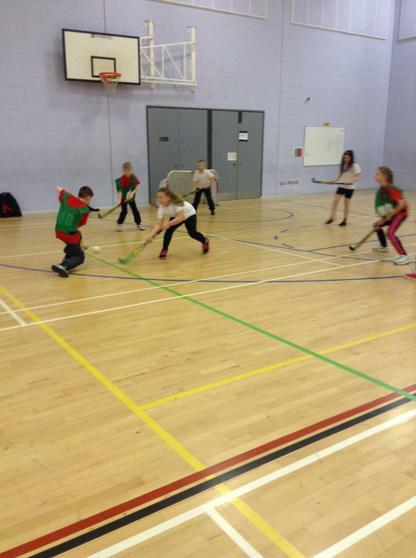 Quicksticks is a 4-a-side game designed to introduce young people to hockey. 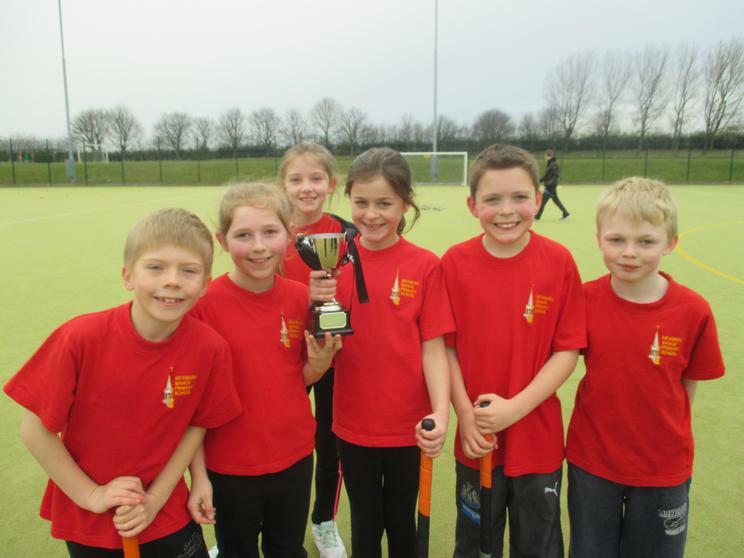 We are very proud of our school team members as they haven't been playing very long and managed to win joint Gold with Regent Farm First School in the competition. 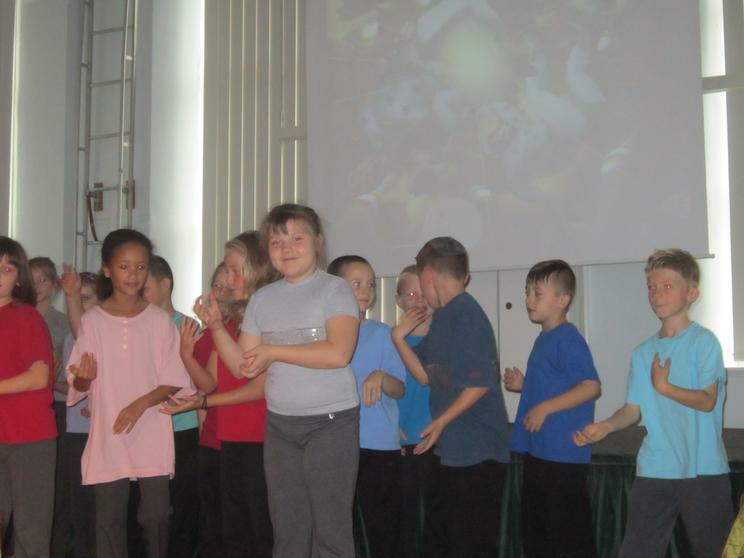 What an amazing achievement!